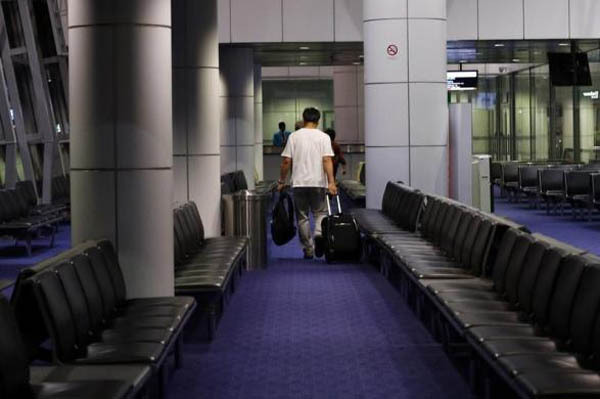 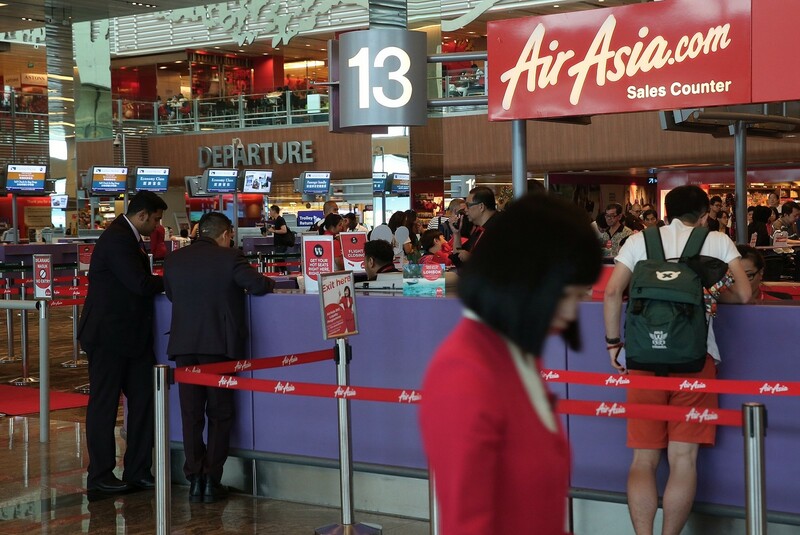 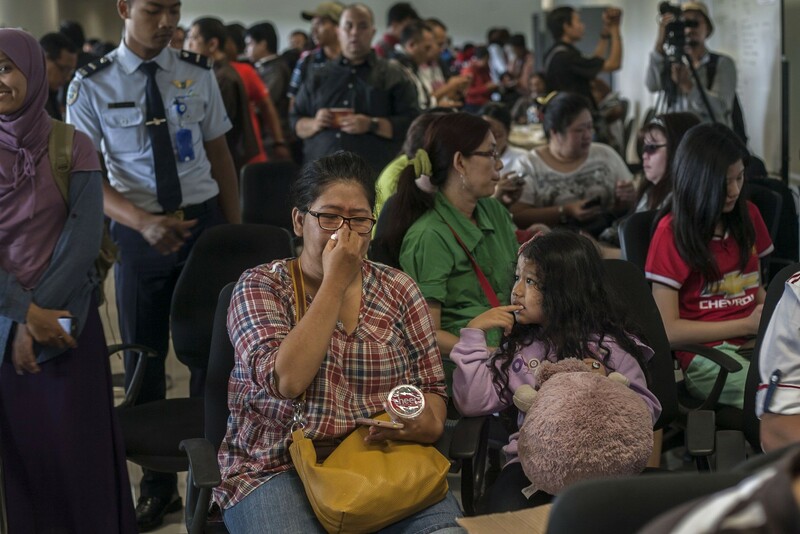 KUALA LUMPUR - The disappearance of an AirAsia flight marks a tragic climax to a heartbreaking 2014 for Malaysians still grieving from the loss of two planes operated by their national carrier, and has some wondering whether their country is cursed. 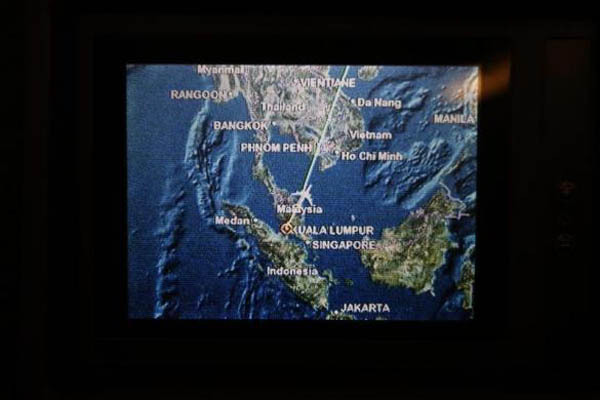 Nine months after Malaysia Airlines Flight MH370 disappeared, followed by the shooting down of MH17, the latest disappearance is the third crisis for a Malaysian airline this year. 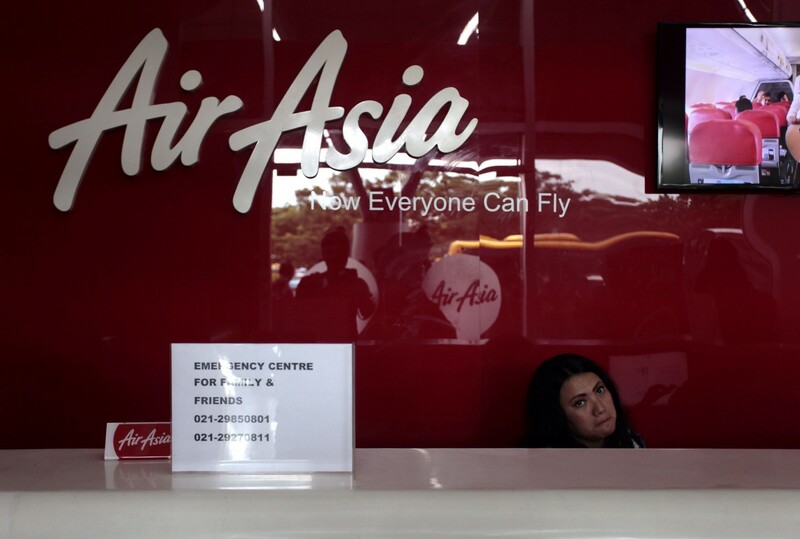 The AirAsia plane, carrying 162 people, disappeared in bad weather Sunday while flying to Singapore from Indonesia, losing contact with air traffic control in a chilling echo of the earlier tragedies. 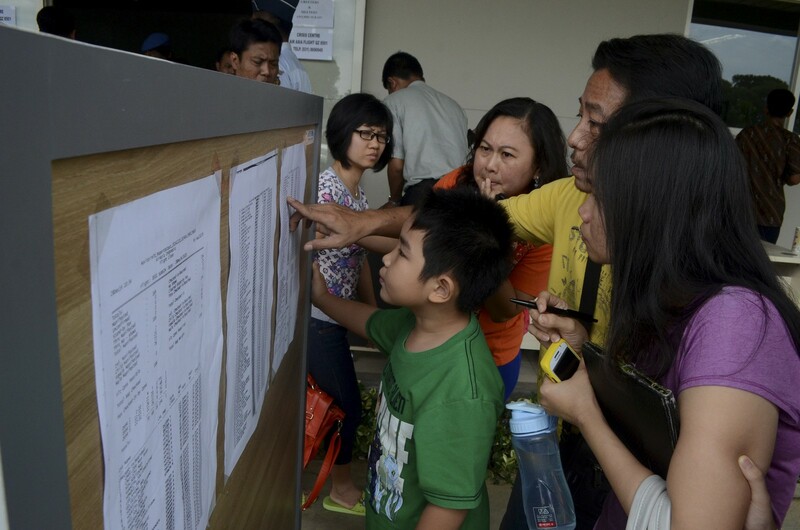 "Why is this country facing such hardships? 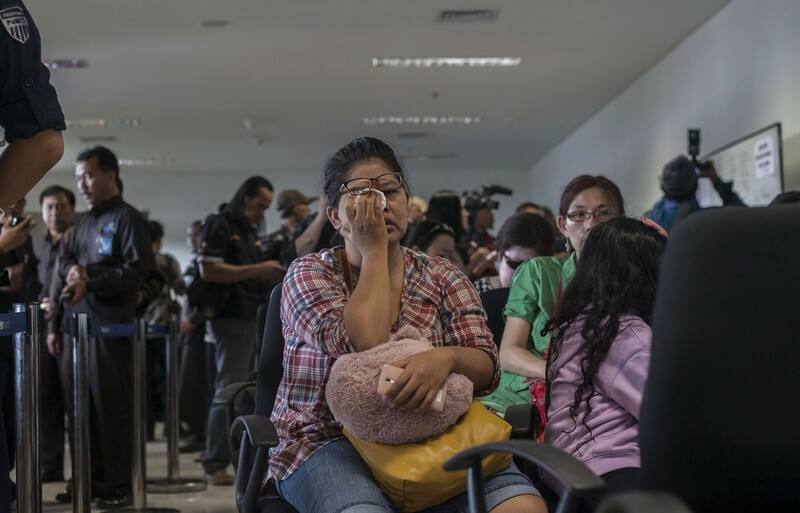 It is painful when disaster strikes without warning. 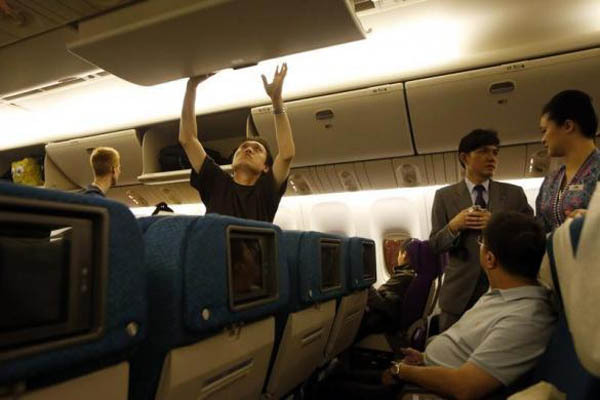 Is it a curse? 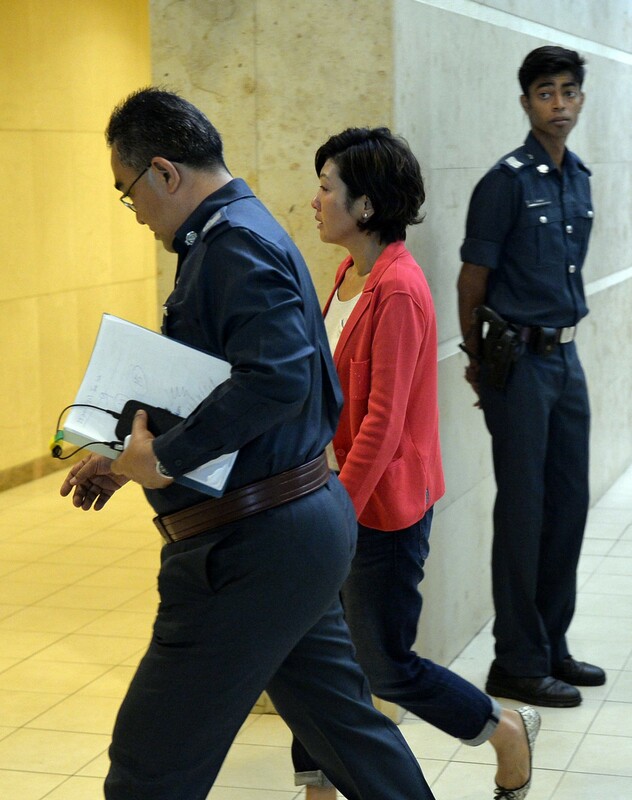 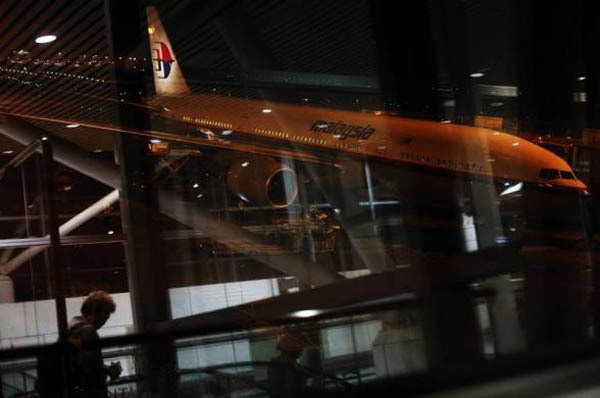 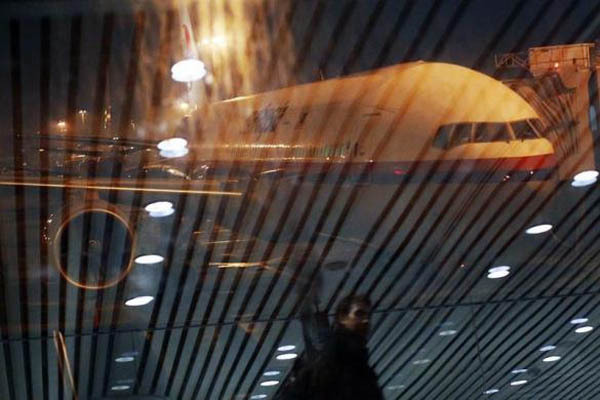 I think we are fated," Subramaniam Gurusamy, whose son Puspanathan Subramaniam was one of 239 people on board MH370, told AFP. 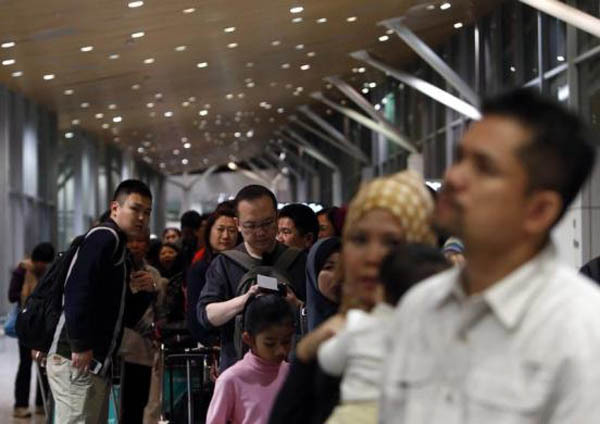 With the painful memory of two plane disasters this year still fresh, the news left many in Malaysia bewildered during the traditional year-end festive season. 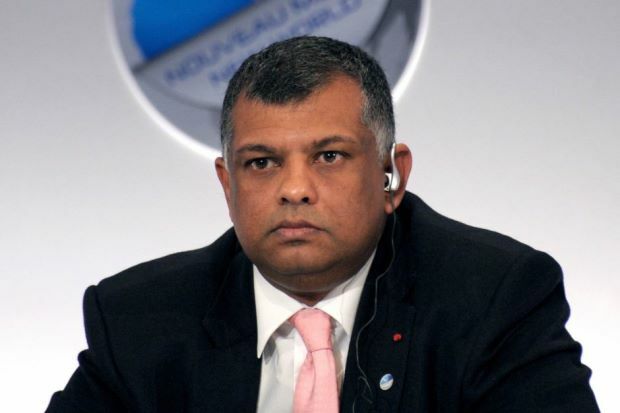 Social media users immediately offered prayers and messages of support to family members of the victims via Facebook and Twitter, and urged the carrier's flamboyant chief executive Tony Fernandes to remain strong. 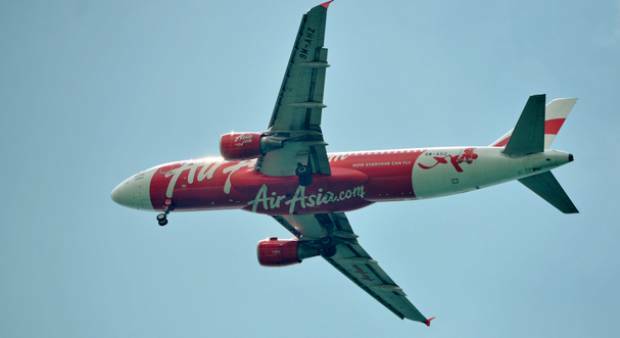 "I personally pray for all the passengers and crews of AirAsia Airbus A320 QZ8501. 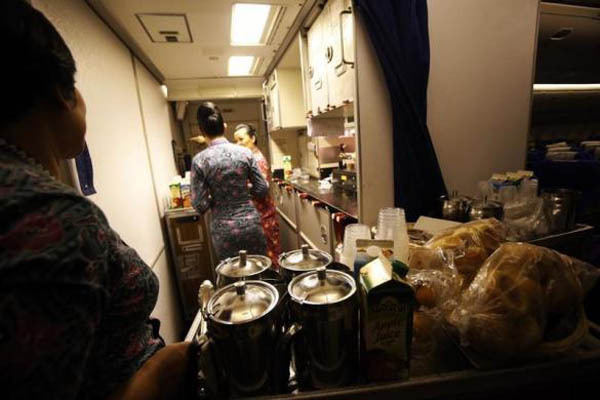 Especially my cousin Oscar Desano as a flight attendant," wrote Twitter user Paris Duarte. 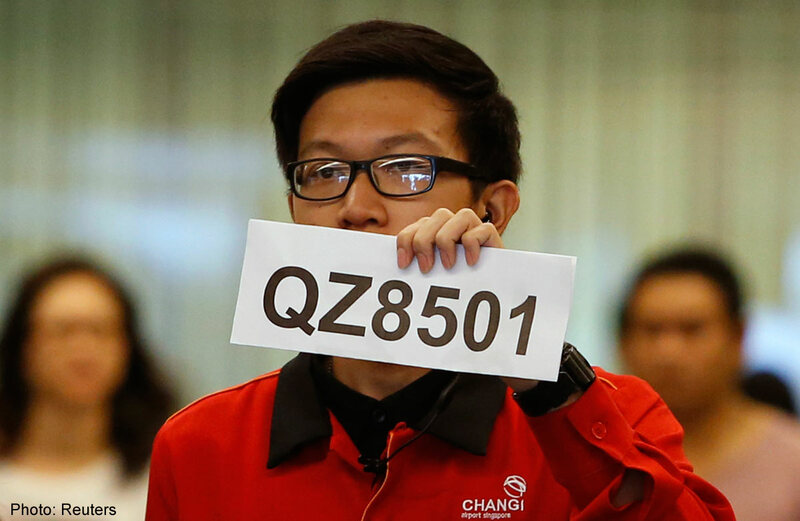 QZ8501's disappearance came as Malaysia grapples with its worst floods in decades, which have displaced more than 160,000 people, piling further anguish on the country. 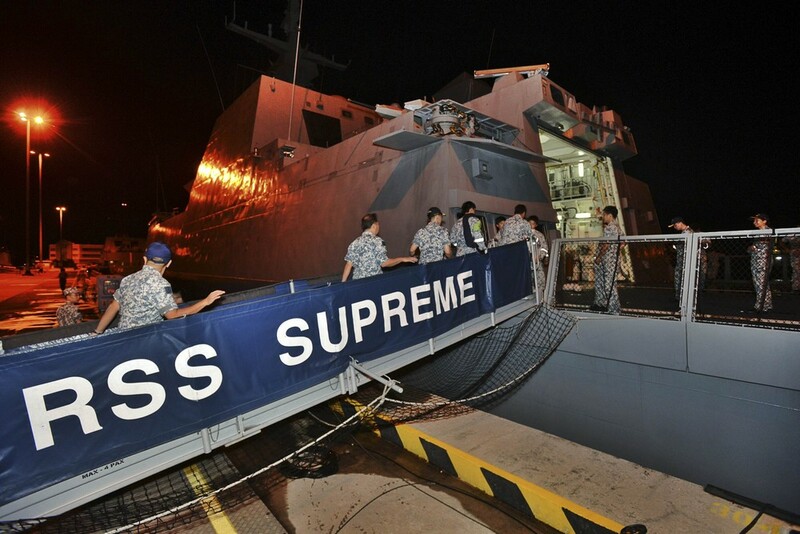 Servicemen of Singapore Navy board the Formidable-class frigate RSS Supreme, as they are deployed in support of the search & locate operation for the missing AirAsia flight QZ8501. 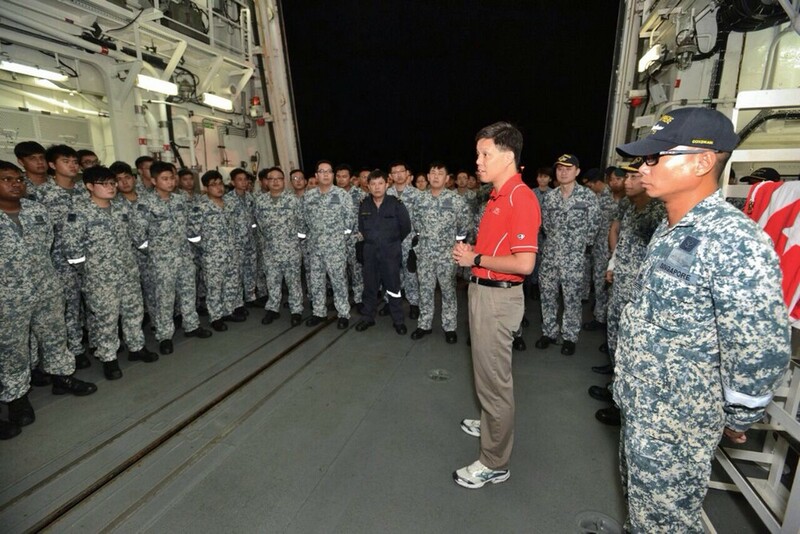 Speaking with Republic of Singapore Navy (RSN) servicemen on board RSS Supreme before departing for Indonesia to take part in the search and locate (SAL) operation for missing AirAsia flight. 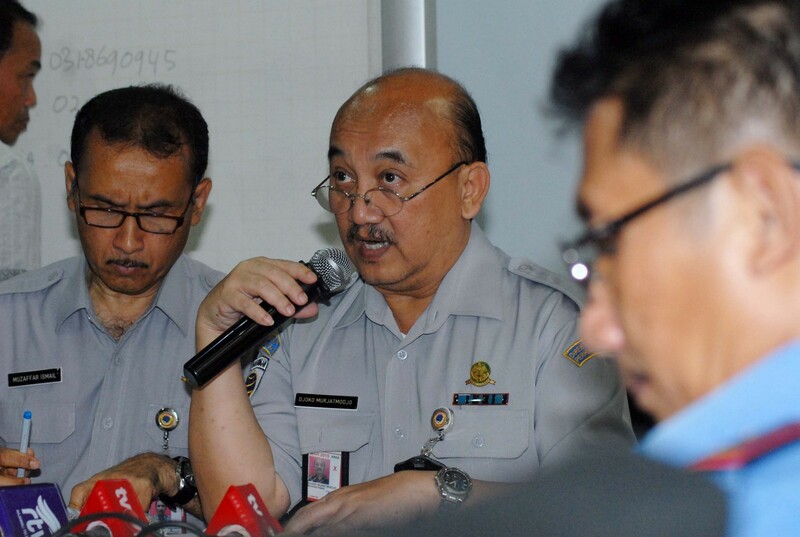 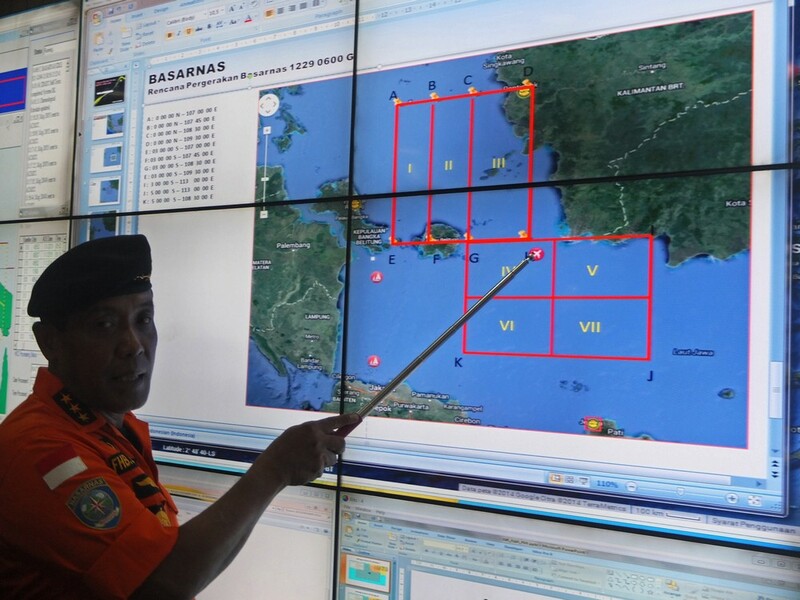 F. H. Bambang Soelistyo (a 3-star air force officer) points to the estimated located where the ill-fated AirAsia plane was last detected by radar on Sunday. 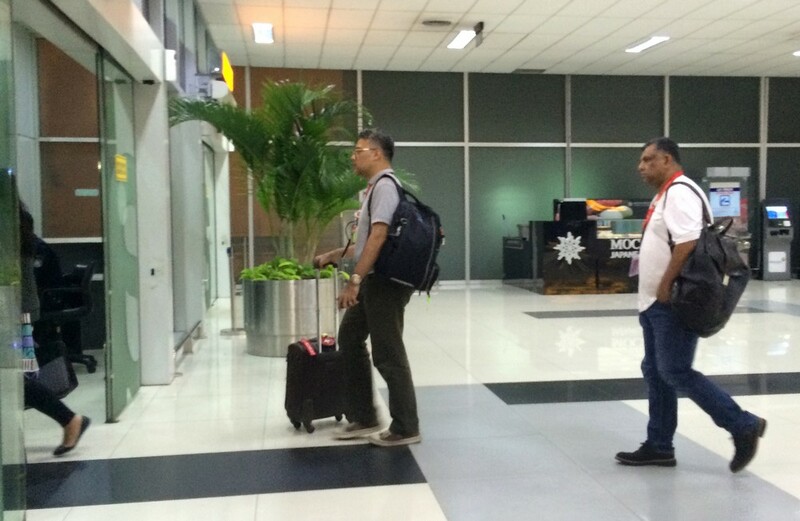 At Soekarno-Hatta Airport Terminal 3 in Jakarta at about 1.30am on Dec 29. 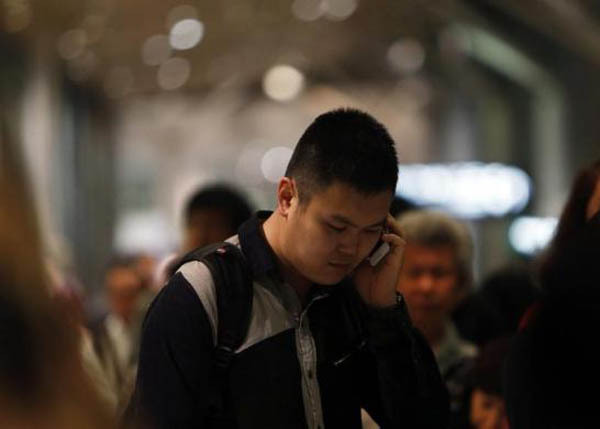 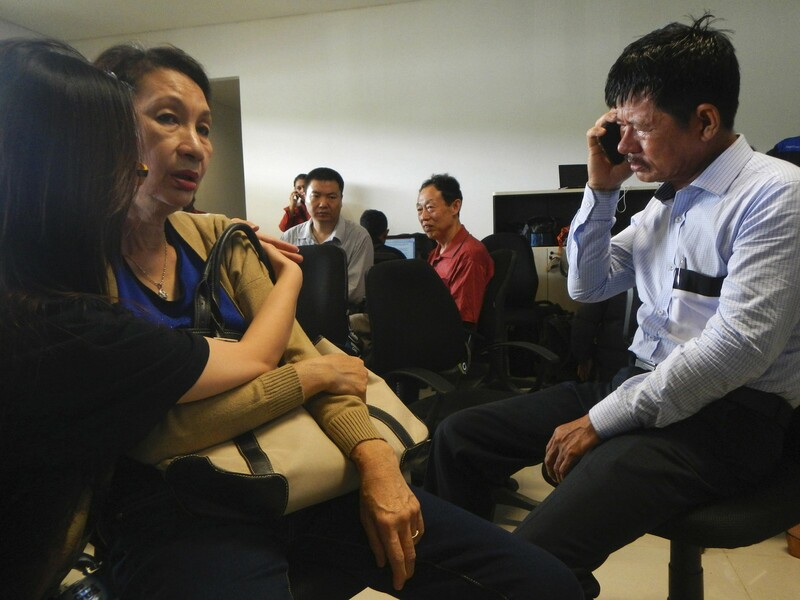 A relative shows a picture of alleged passengers who were travelling on missing Malaysian air carrier AirAsia flight QZ8501 on her mobile phone screen at the airport. 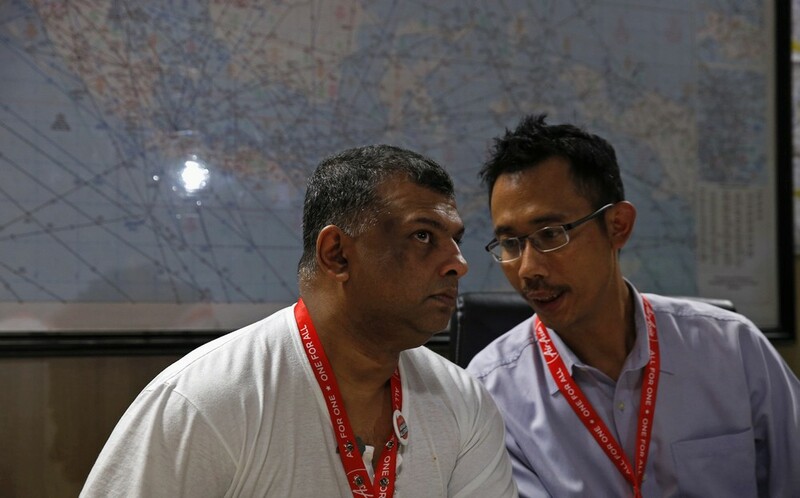 AirAsia CEO Tony Fernandes talks with director Sunu Widyatmoko during a news conference. 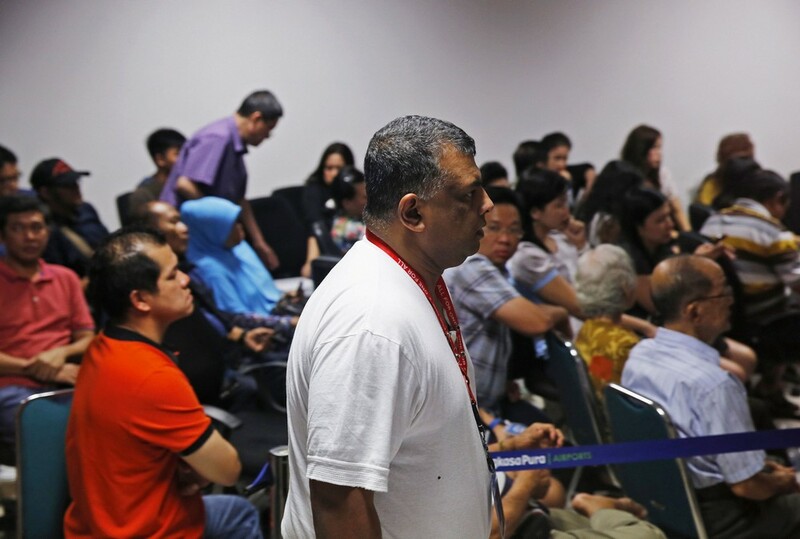 AirAsia CEO Tony Fernandes walks in front of family members of passengers onboard the missing AirAsia Flight QZ8501 at a news conference. 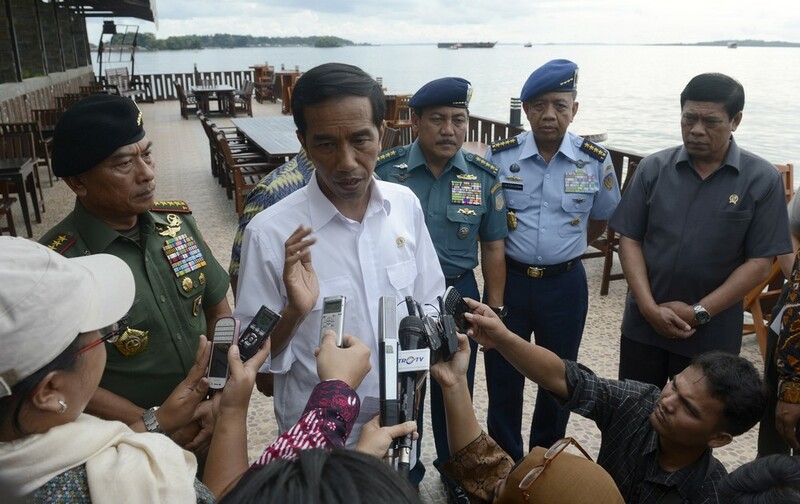 Indonesian President Joko Widodo (C), accompanied by (L to R) military commander General Moeldoko, Navy Chief Admiral Marsetio, Air Chief Marshal Ida Bagus Putu Dunia and Coordinating Political, Legal and Security Affairs Minister Tedjo Edhy Purdijatno. 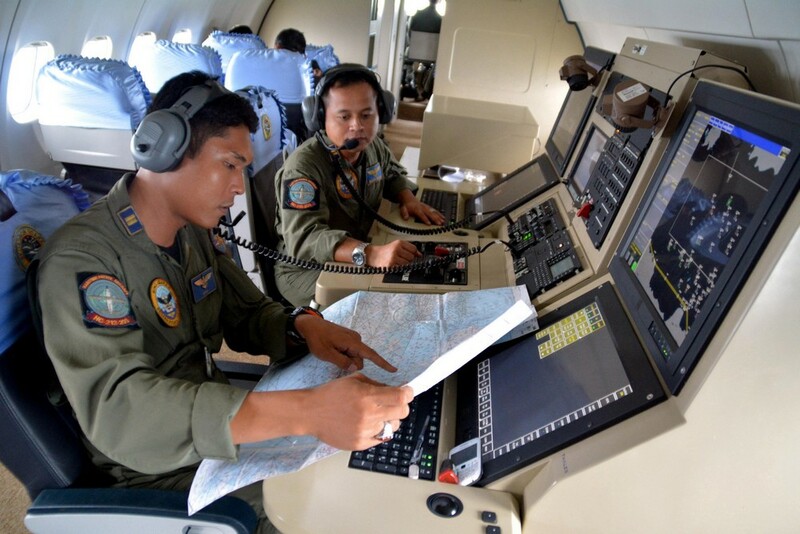 2 members of the Indonesian Navy's Tactical Commanding Operator (TACCO) help with the search for flight QZ8501 on board a CN235 aircraft. 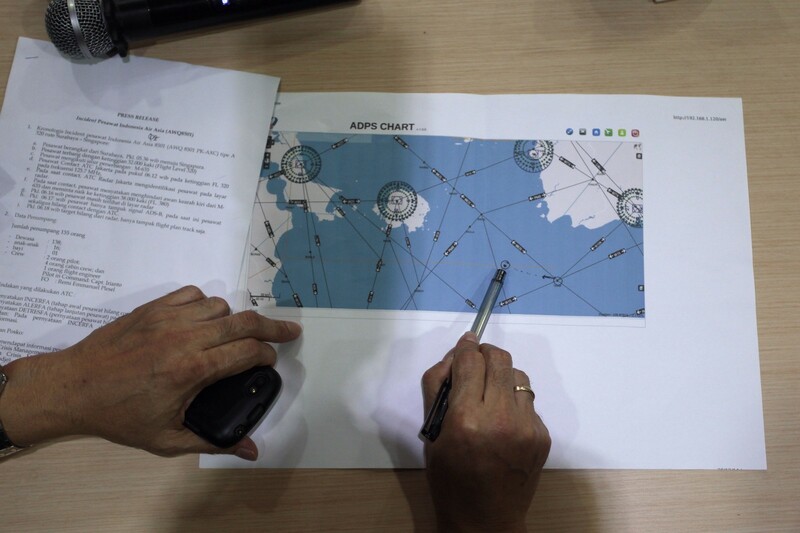 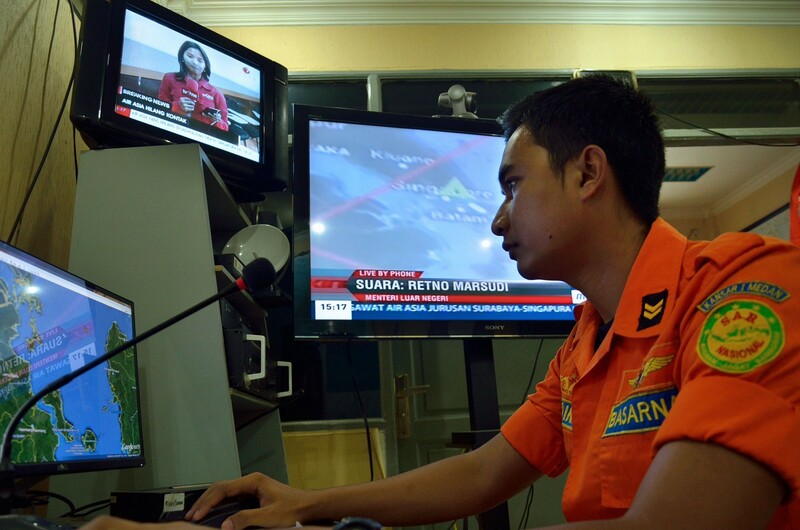 Monitoring progress in the search for Flight QZ8501 during a visit to the National Search and Rescue Agency in Jakarta. 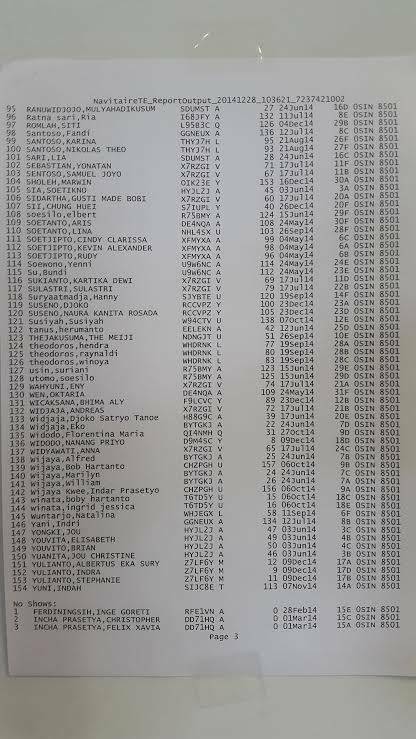 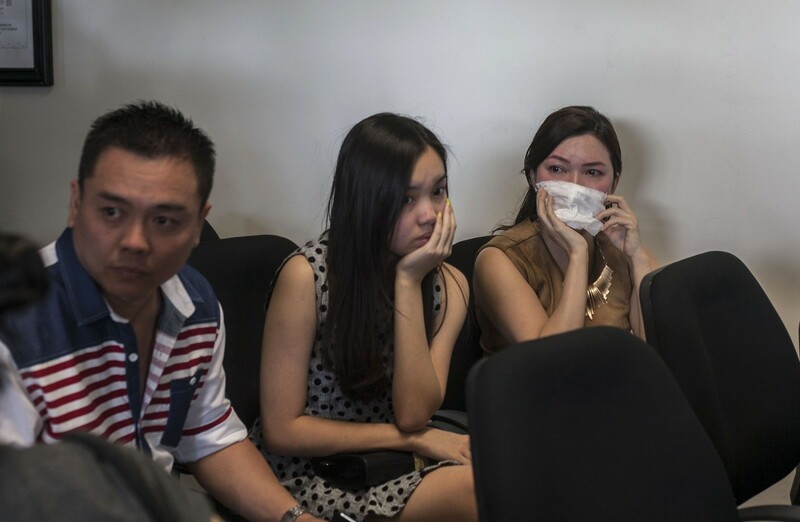 Air Asia flight QZ8501 from Surabaya to Singapore went missing on Sunday morning (December 28, 2014). 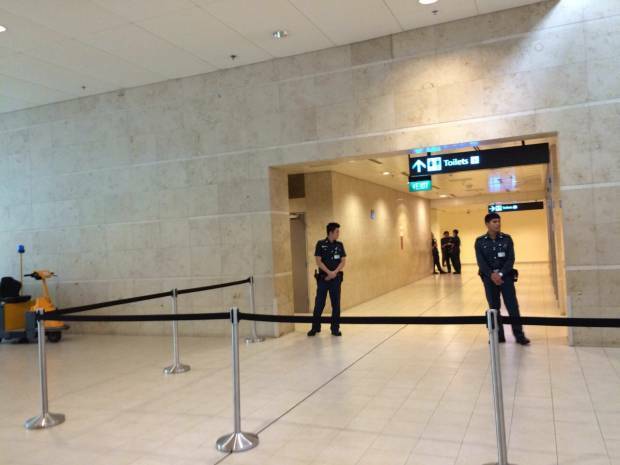 Next of kin were ushered from Terminal 1 to a holding area in Terminal 2. 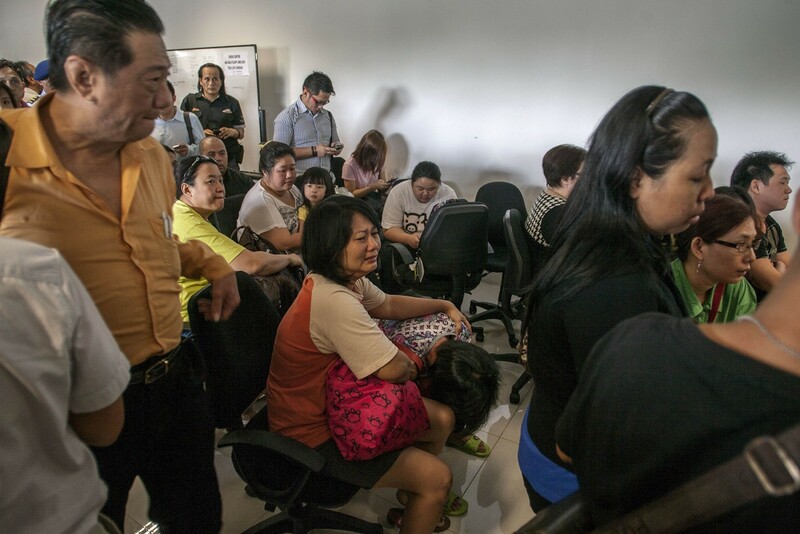 About a dozen family members are believed to be inside the room. 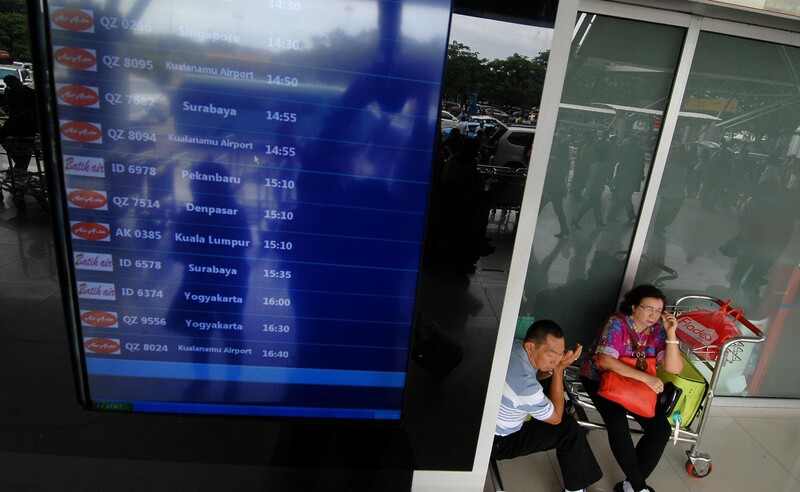 A waiting area for relatives has been set up. 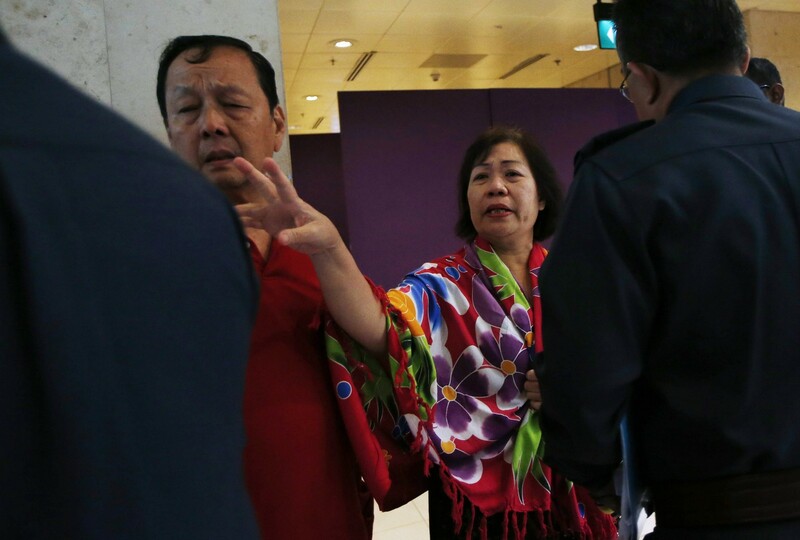 Another family of 4 has gone into the holding area at Changi Airport, where next of kin of passengers have been waiting since 9.30am. 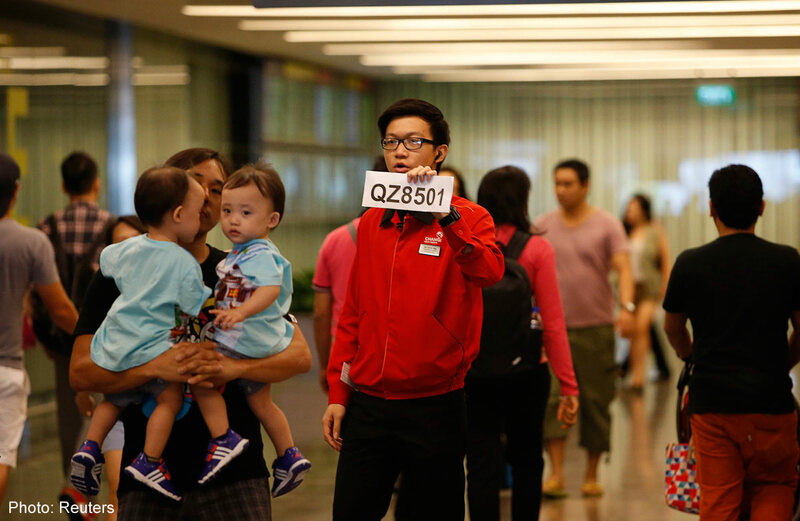 A waiting area for relatives has been set up in Changi Airport Terminal 2. 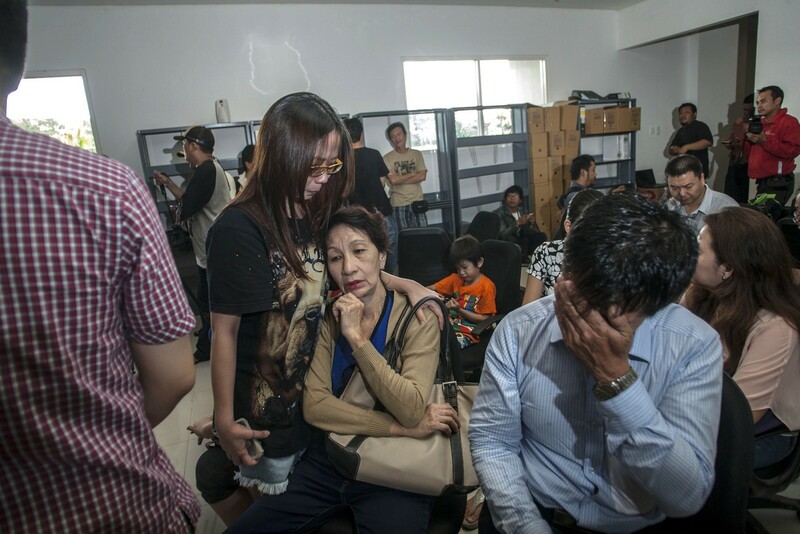 Family members of passengers of missing Malaysian air carrier AirAsia flight QZ8501 gather at Juanda international airport in Surabaya in East Java after the news the flight went missing. 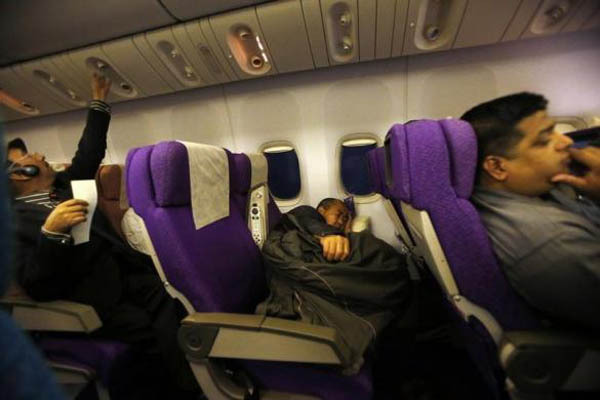 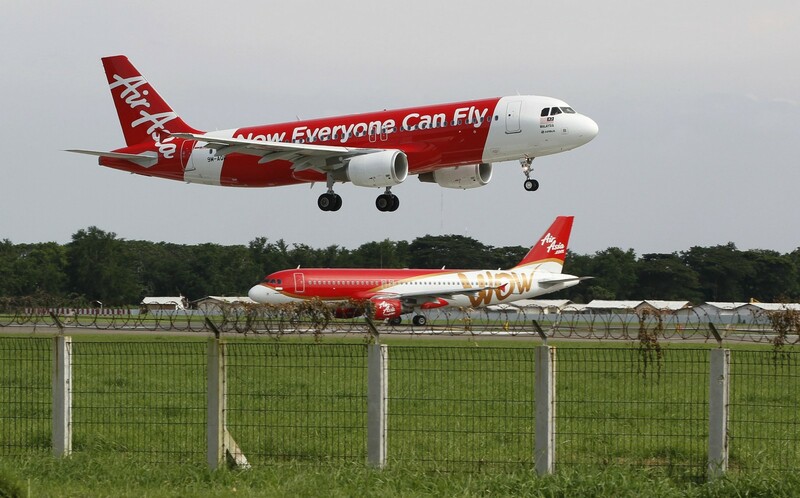 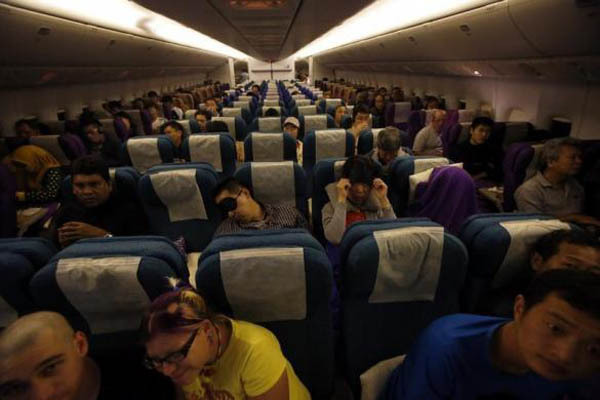 The AirAsia Airbus plane with 162 people on board went missing en route from Indonesia to S'pore early on Dec 28. 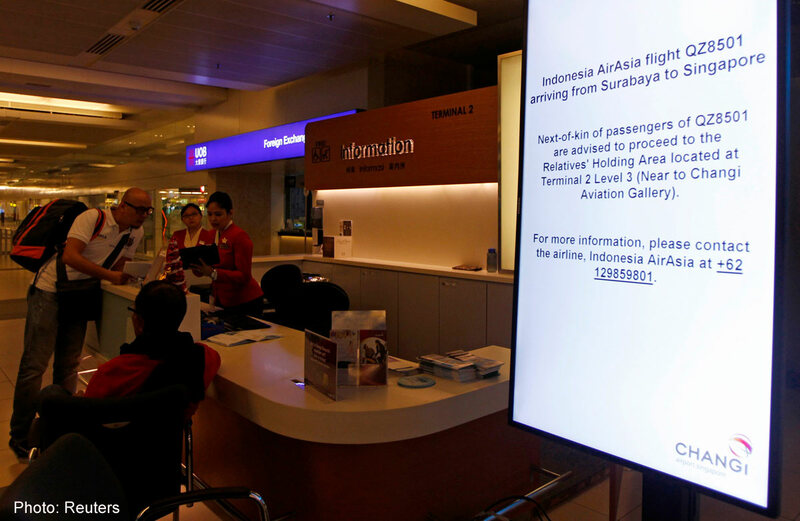 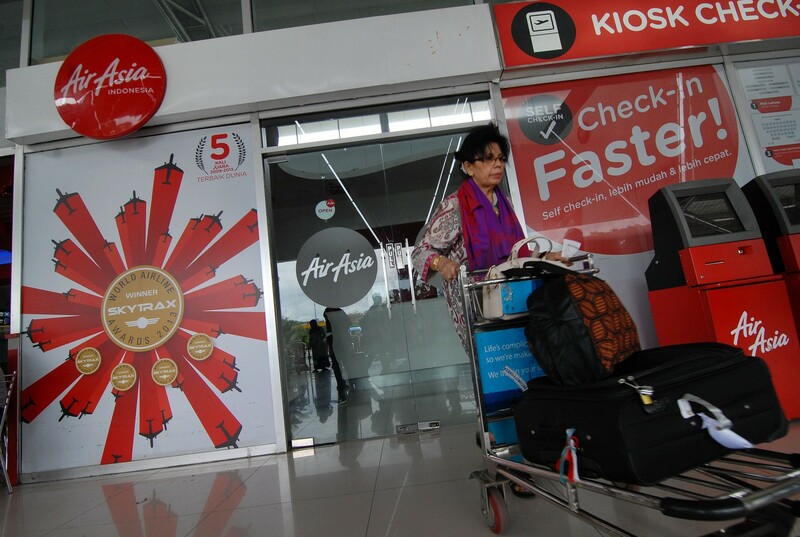 AirAsia flight QZ8501 bound for Singapore from the Indonesian city of Surabaya was lost on Sunday morning. 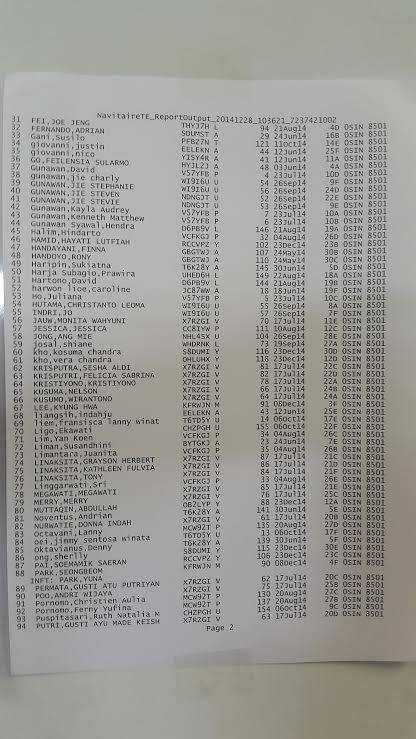 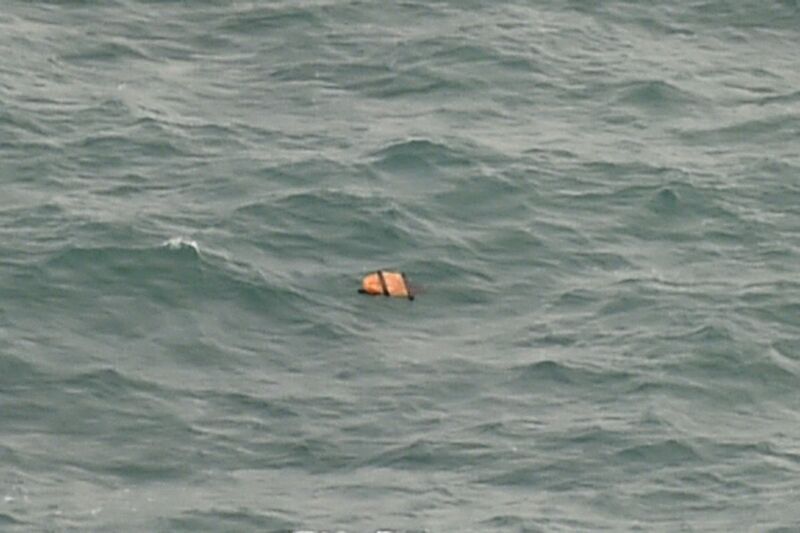 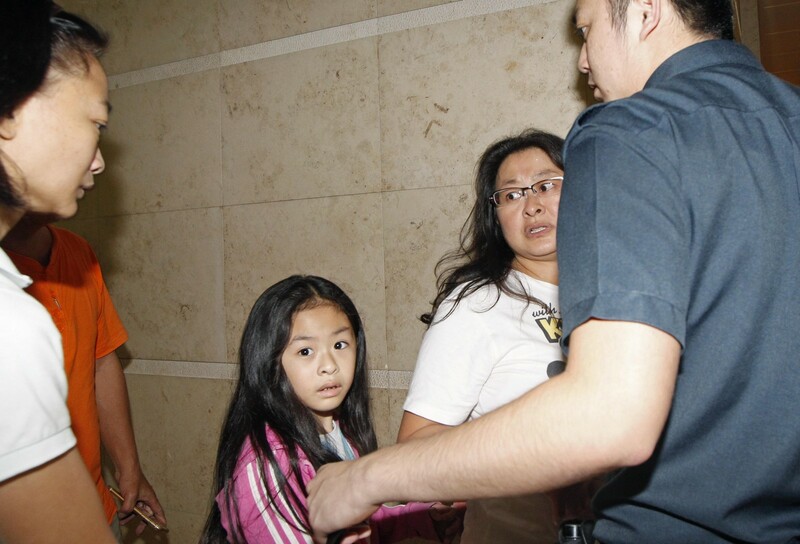 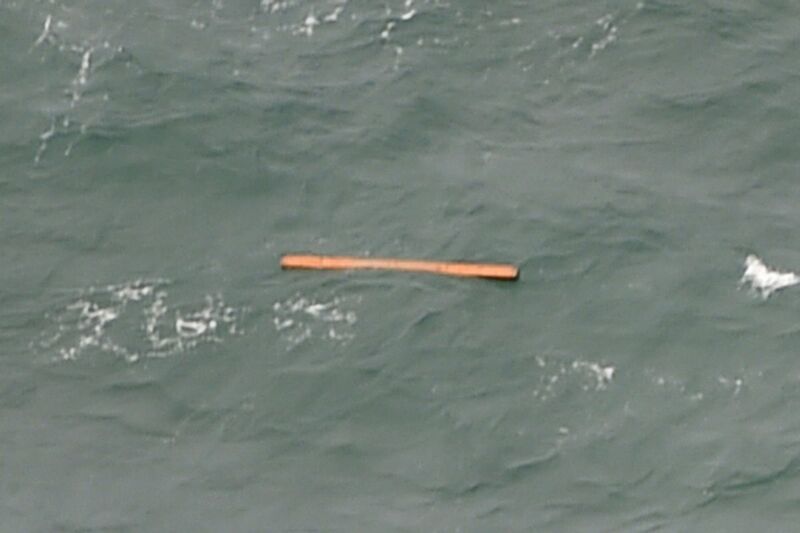 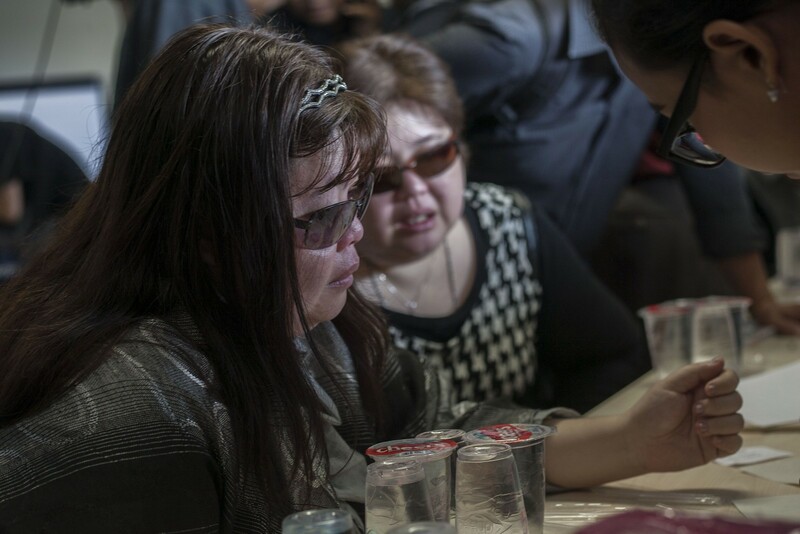 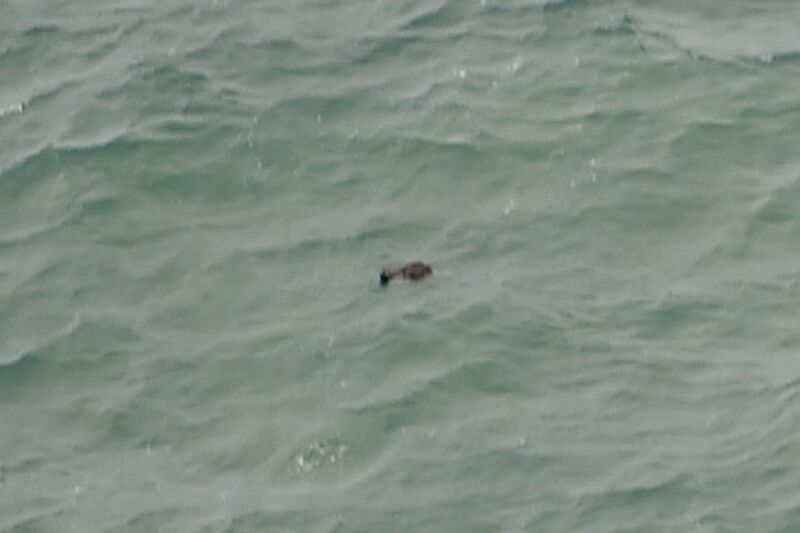 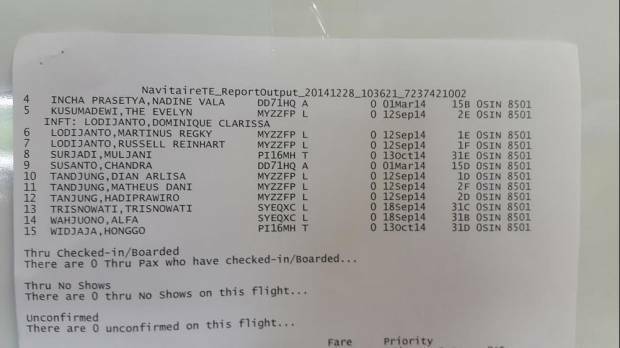 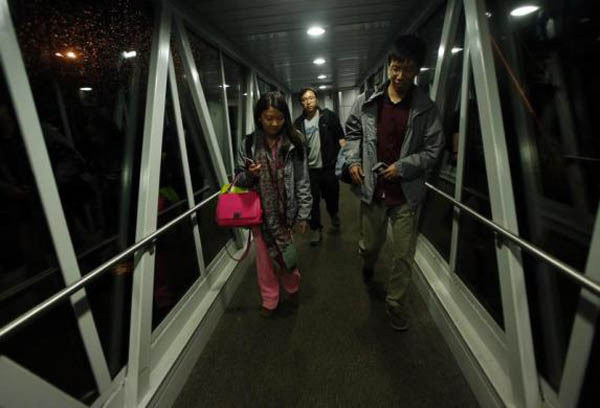 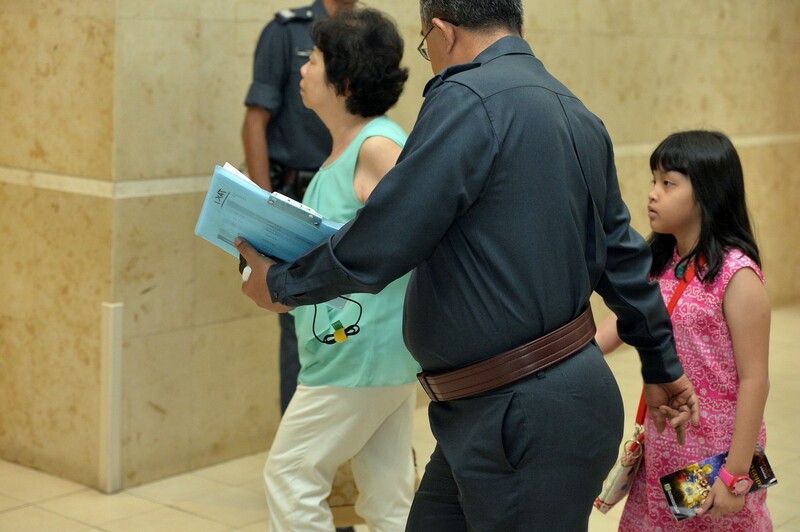 Unnamed family members of passengers on board the missing flight. 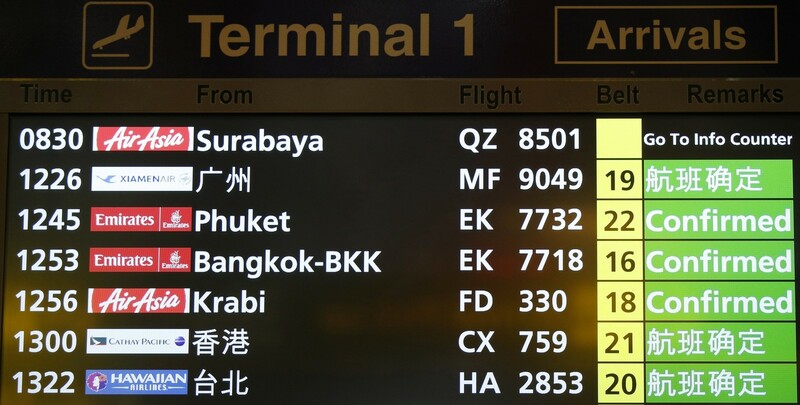 A sign informing next-of-kins of passengers of flight QZ8501. 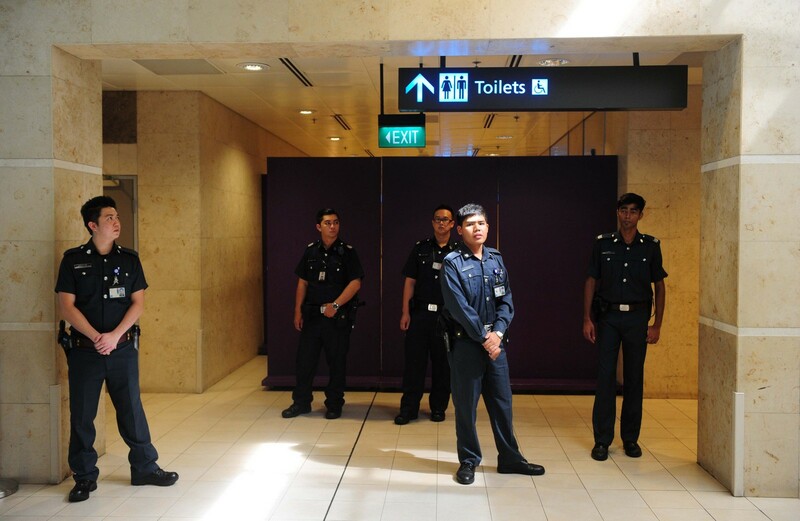 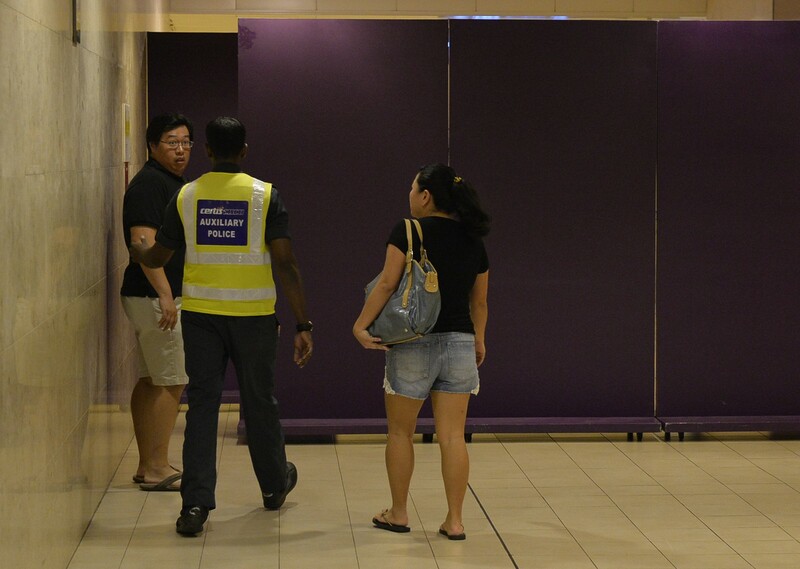 Transport Minister Lui Tuck Yew said that Changi Airport Group has opened a holding area for relatives of the missing passengers. 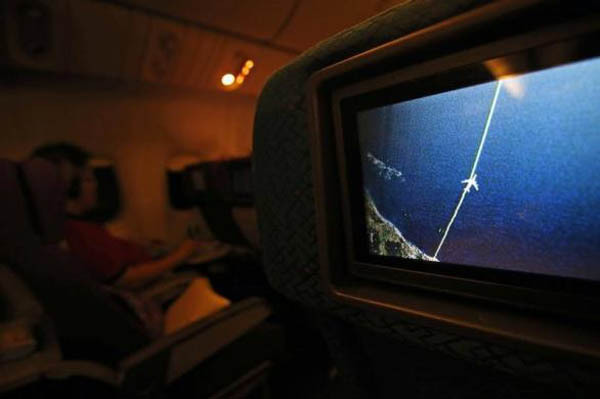 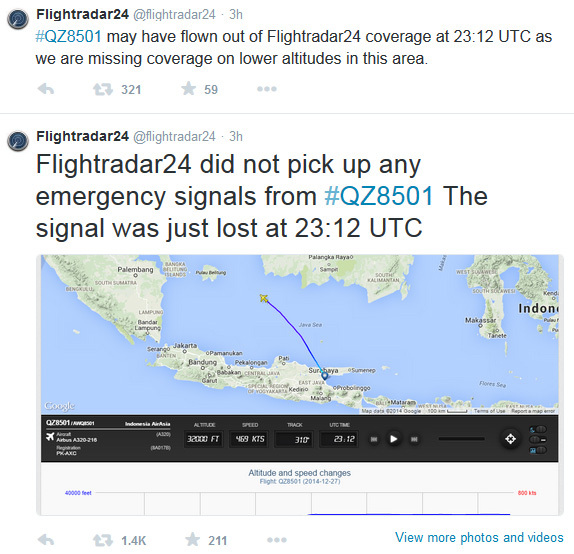 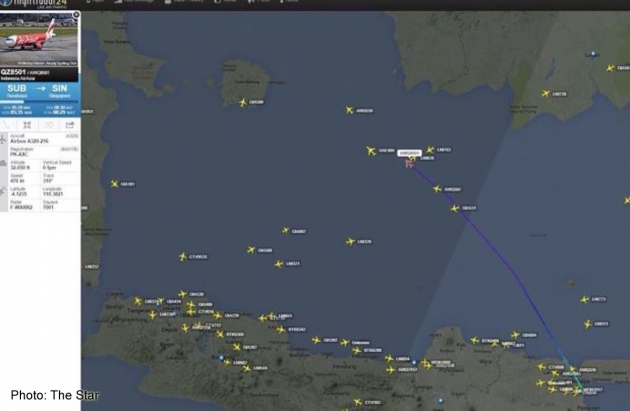 Flight tracking website, Flightradar24.com said that the missing airline did not send out any distress signals before losing contact. 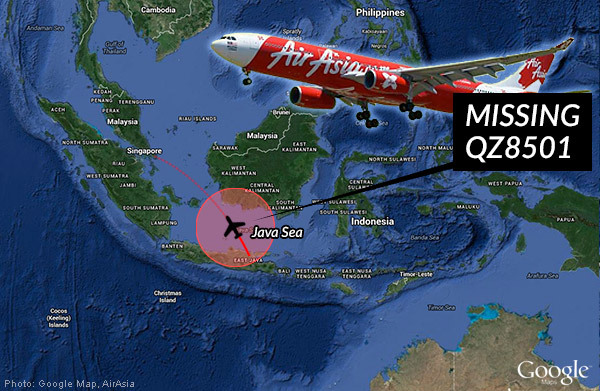 QZ8501's flight plan according to Flightradar24.com. 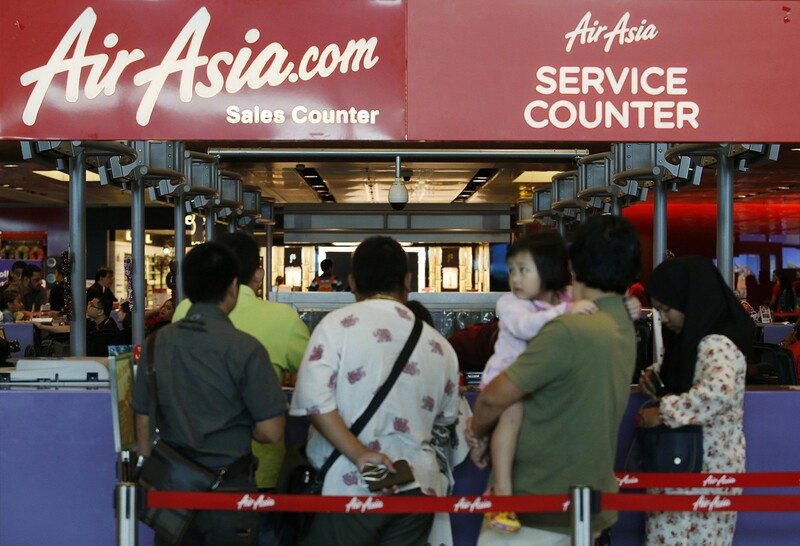 Malaysia PM Najib says his thoughts are with AirAsia in facing this crisis. 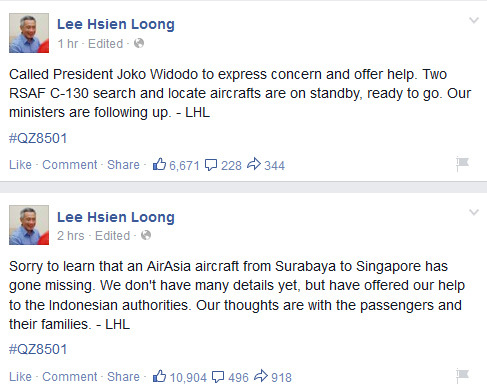 PM Lee says Singapore will stand with Indonesia in facing this crisis and is ready to offer help where possible. 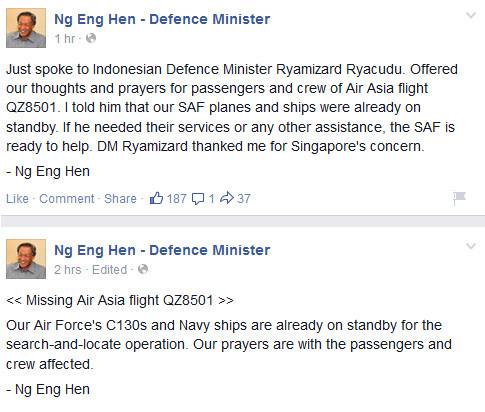 Defence Minister Ng Eng Hen says Singapore will offer assistance in search and rescue efforts. 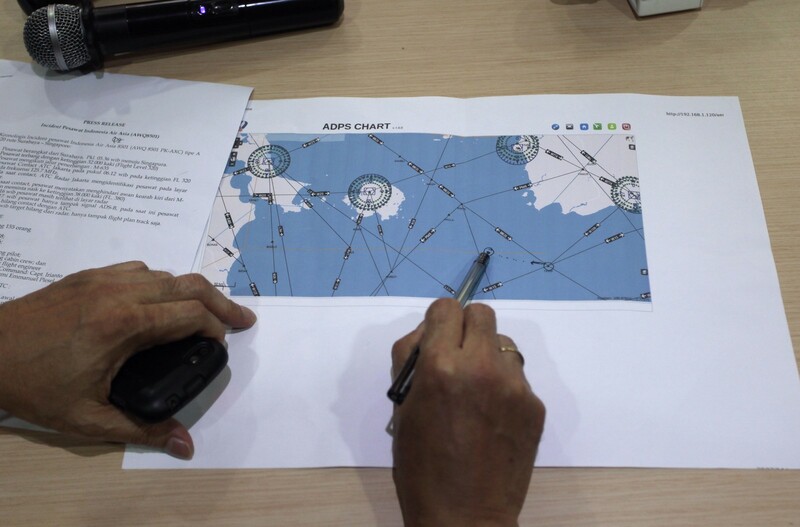 The Civil Aviation Authority of Singapore. 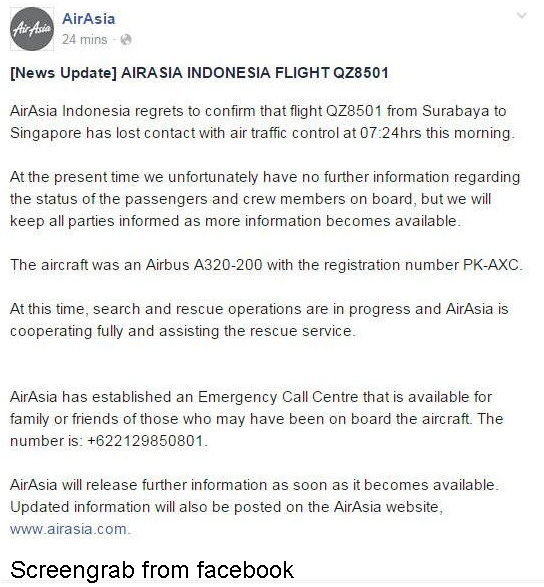 The first statement from AirAsia on its Facebook page. 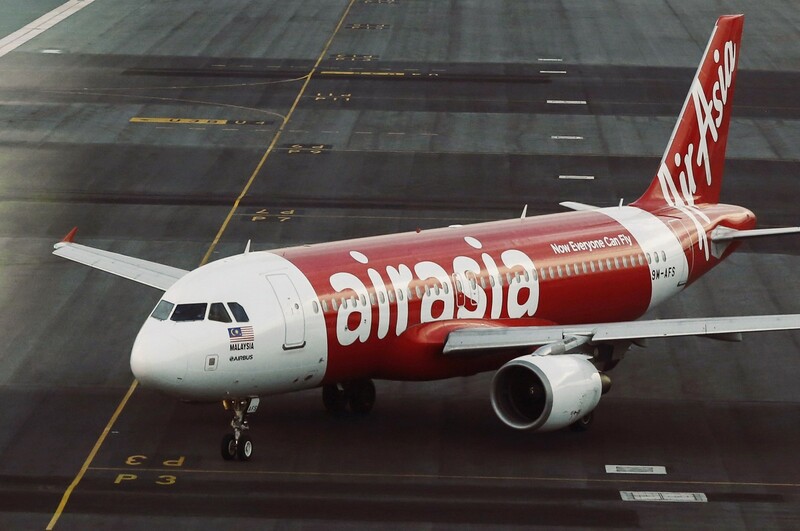 Upon learning of the tragedy, AirAsia immediately changed its striking red logo to a grey one on its social media sites. 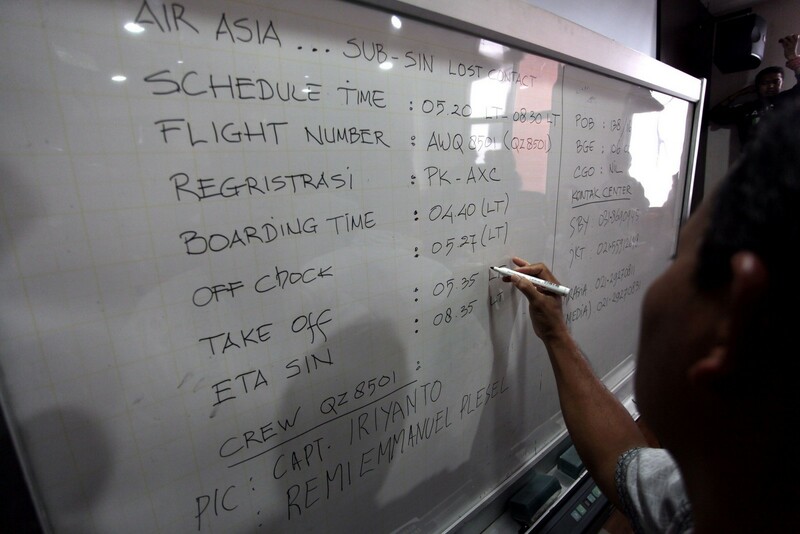 Officials mapping out the flight route. 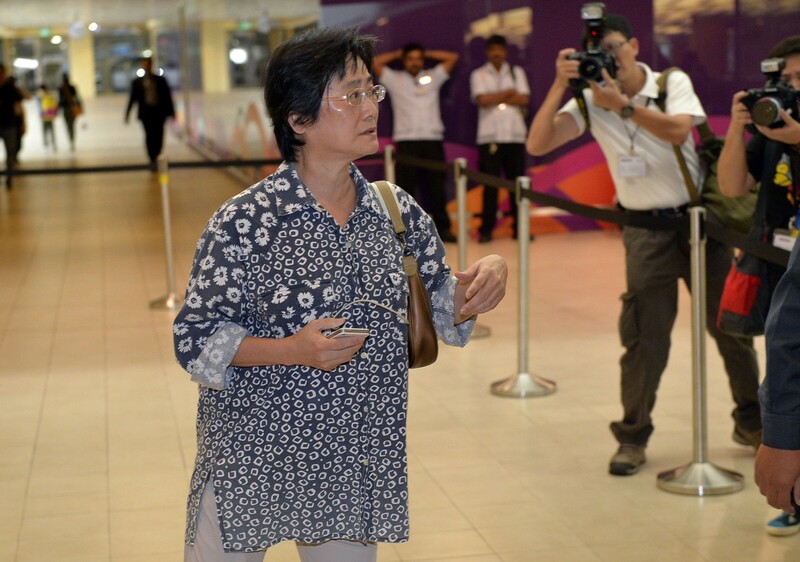 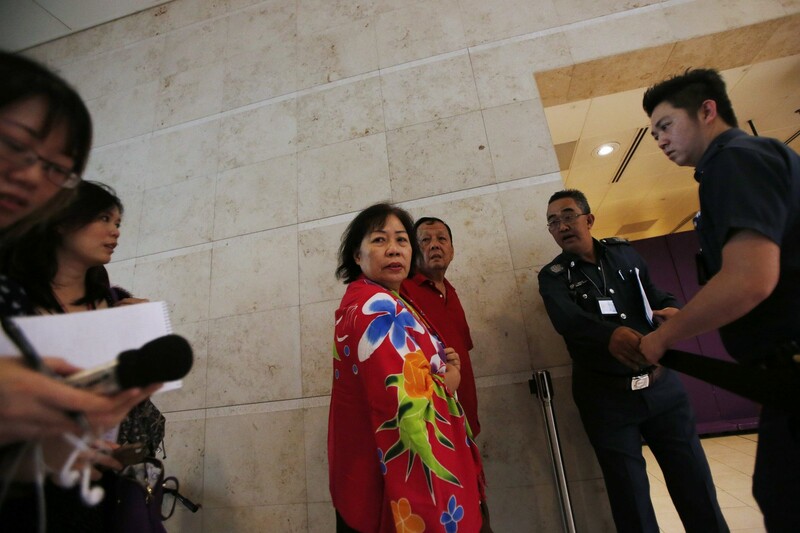 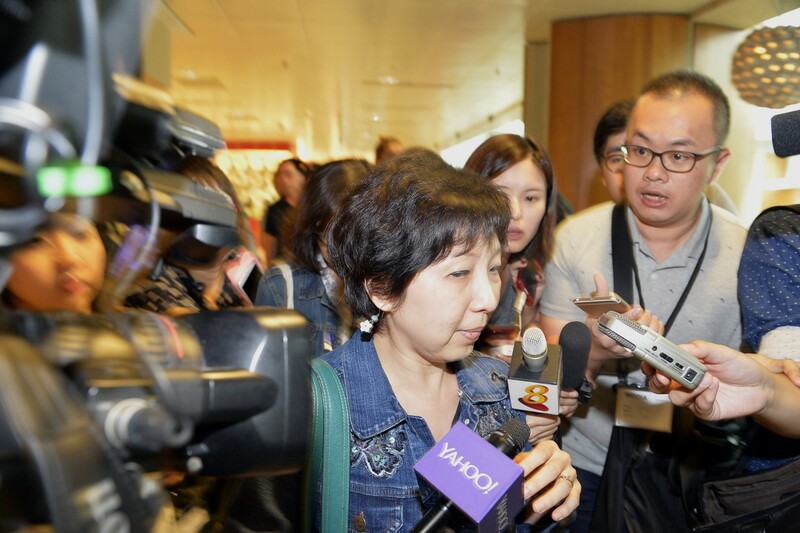 Louise Sidharta, 25 whose fiance was on the missing flight speaking to the media outside the holding rom for relatives and next-of-kin at Changi Airport Terminal 2, Dec 28, 2014. 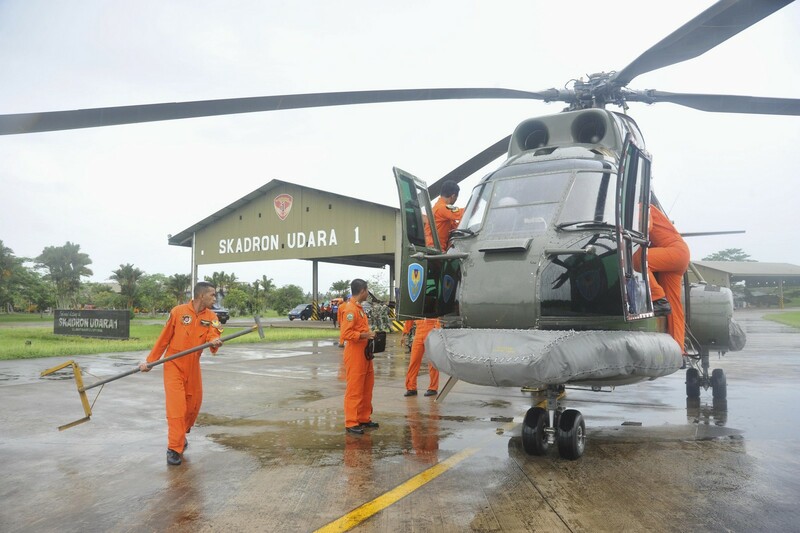 A search and rescue squad from the Indonesian Airforce prepare to depart on a Puma helicopter to take part in the search for the missing AirAsia Flight QZ8501, from a base in Kubu Raya, West Kalimantan. 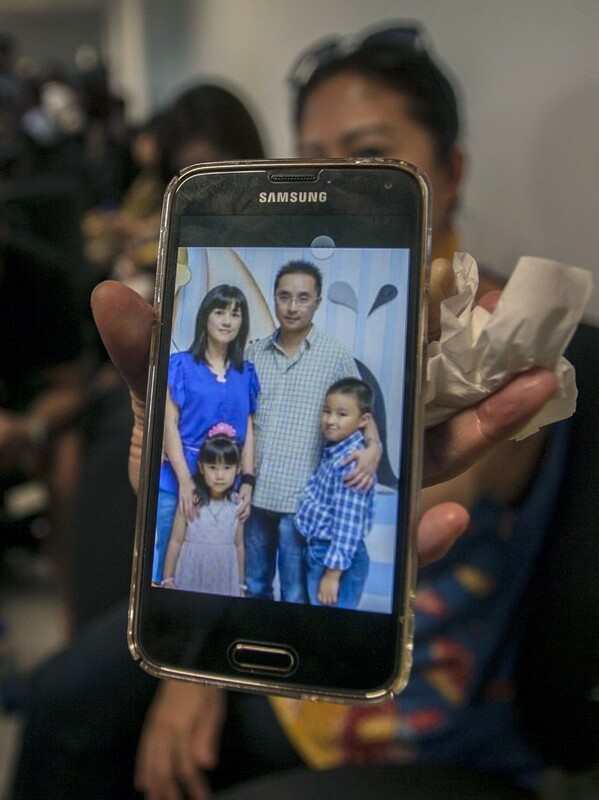 "God pls help my country Flood tornando MH370 lost MH17 shot down QZ8501 still lost contact hoping and praying," Angah Kalisa wrote on Facebook. 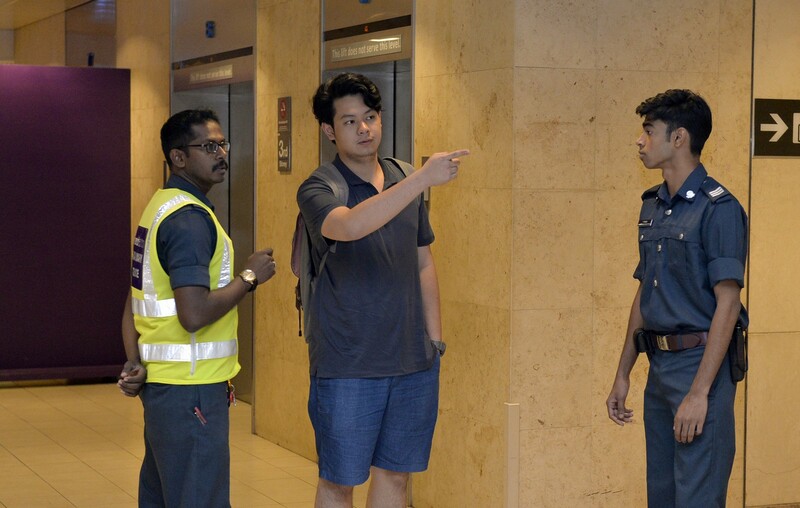 Uthaya Kumar Pillai, meanwhile, referenced Malaysia's diversity when he wrote on the social networking website: "My support for SAR (search and rescue) team. 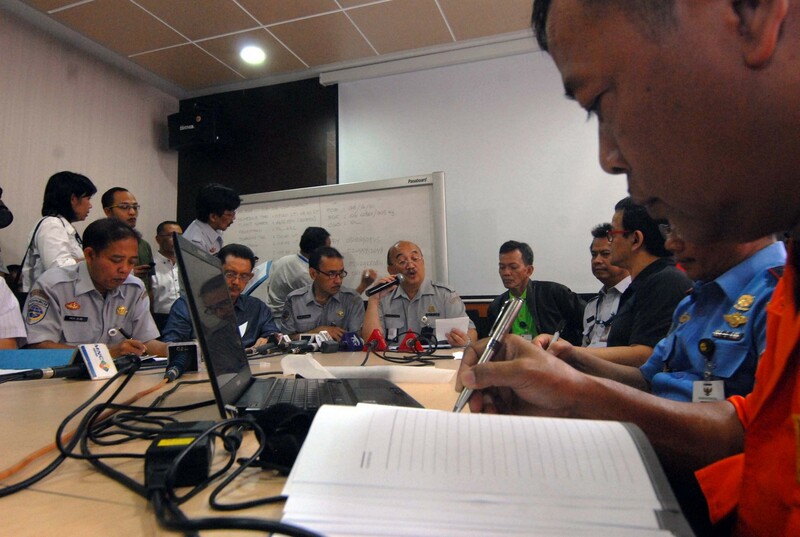 Let us unite together and pray for 8501 regardless of race." 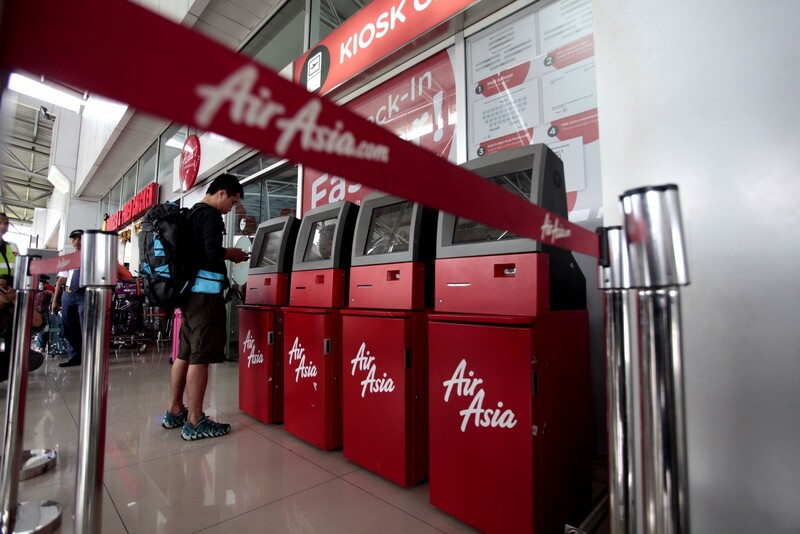 Churches nationwide lit candles, praying for the plane, which is operated by AirAsia Indonesia, a subsidiary of the low-cost Malaysian regional giant, to be recovered and for the safe return of all its passengers and crew. 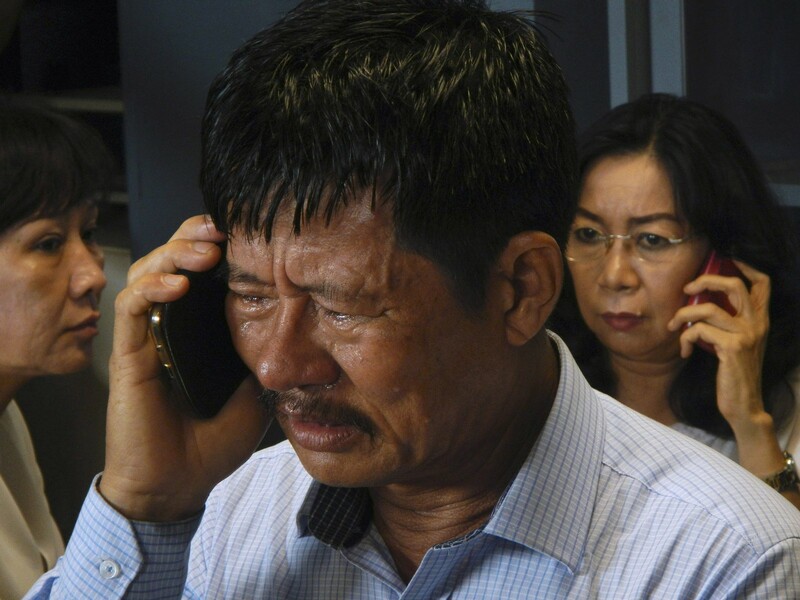 "Our hearts go out to all the families who in anguish are awaiting news of the whereabouts of the plane," The Council of Churches Malaysia wrote on its Facebook page. 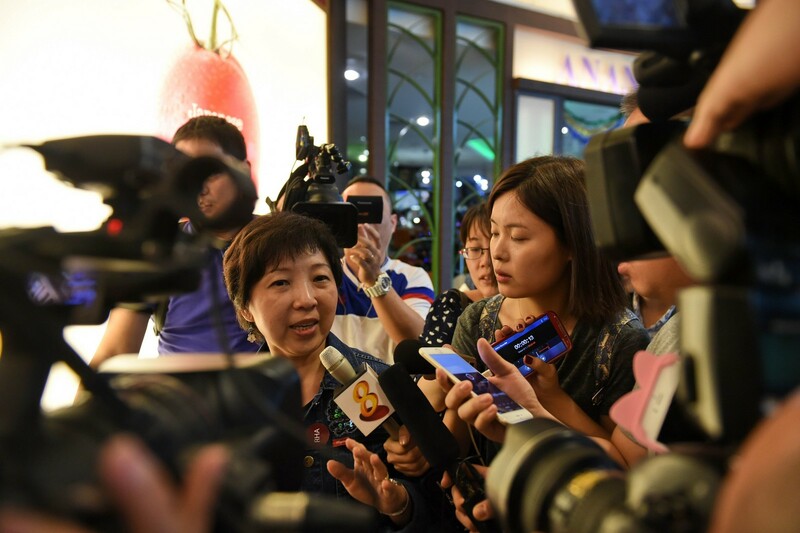 "In the meantime churches throughout the country will join all other Malaysians in lighting of candles and praying for the families." 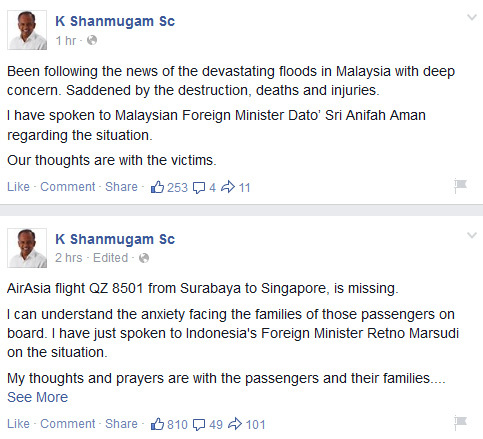 Harussani Zakaria, the mufti of northern Perak state, attributed the air tragedy and floods to domestic political bickering. 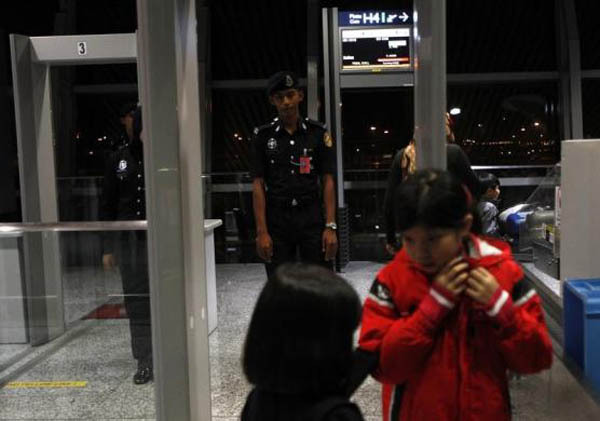 "Due to this incessant political fighting, we are being tested by Allah," he told AFP. 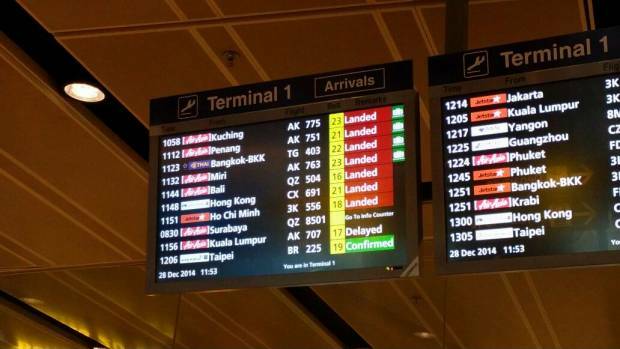 "Such incidents are a test from Allah. 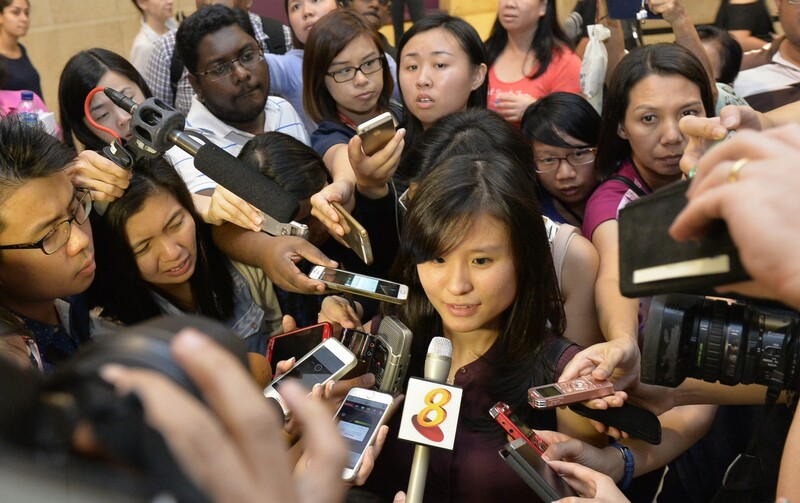 We should unite and strive for peace among races. 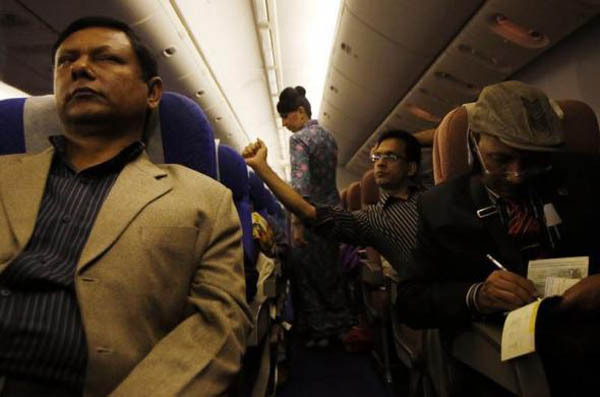 I pray for the families and hope all will return home safely." 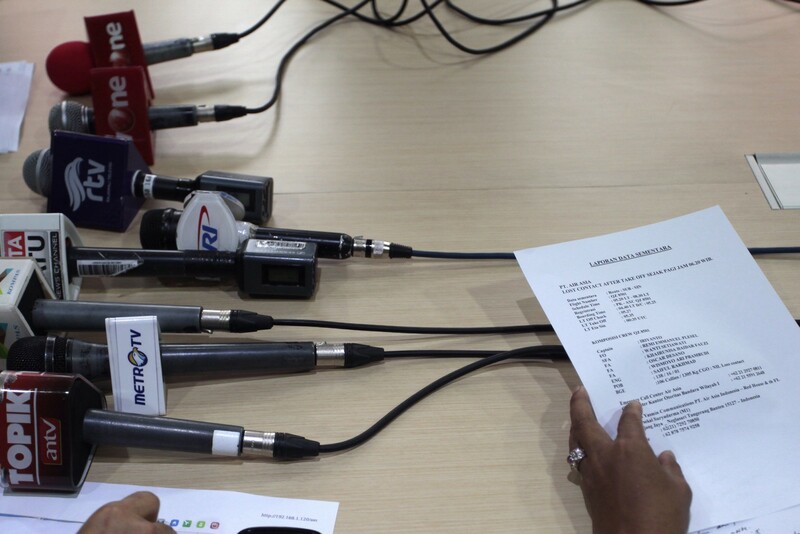 Malaysian Prime Minister Najib Razak took to Twitter to express his solidarity: "Called (Indonesian) President Joko Widodo. 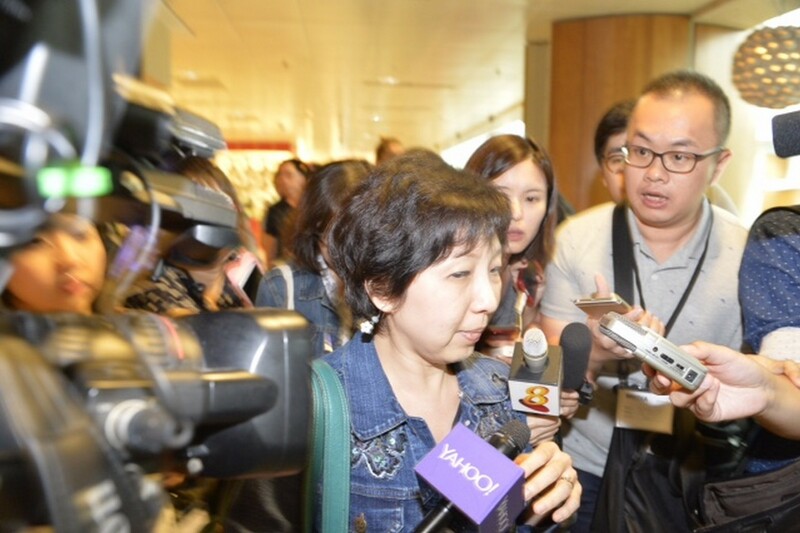 Expressed our deep concern. 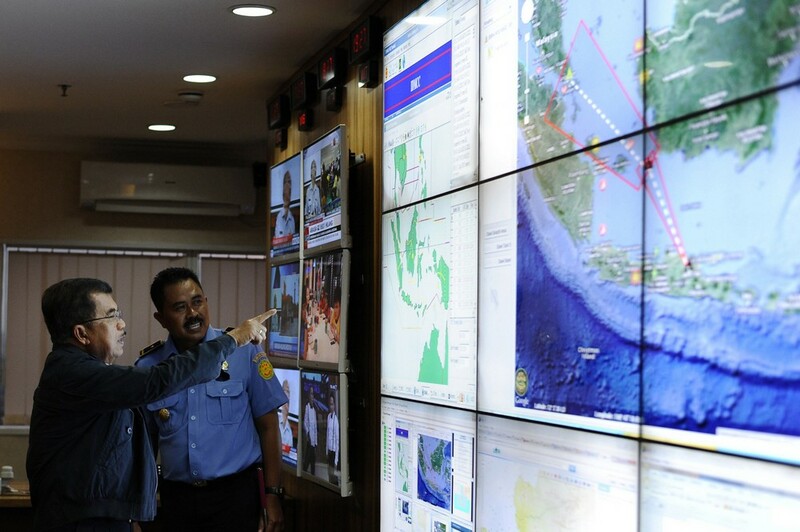 Offered M'sia's fullest support & assistance to Indonesian search & rescue effort." 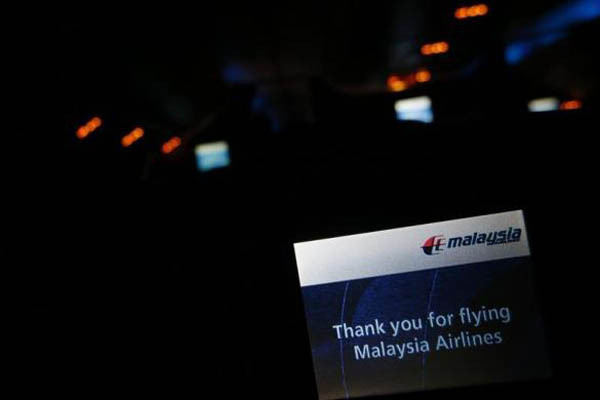 National carrier Malaysia Airlines, itself still reeling from the loss of its two planes, wrote: "#staystrong @AirAsia - Our thoughts and prayers are with all family and friends of those on board QZ8501." 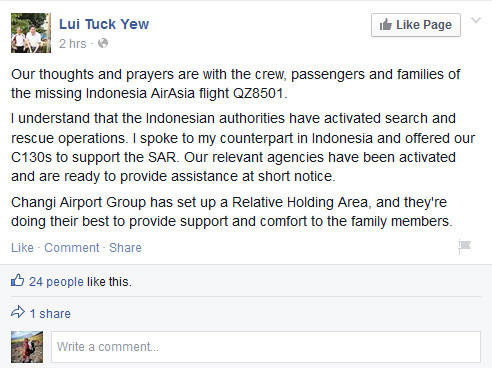 AirAsia CEO Fernandes chimed in on Twitter, writing: "My only thought are with the passangers and my crew." 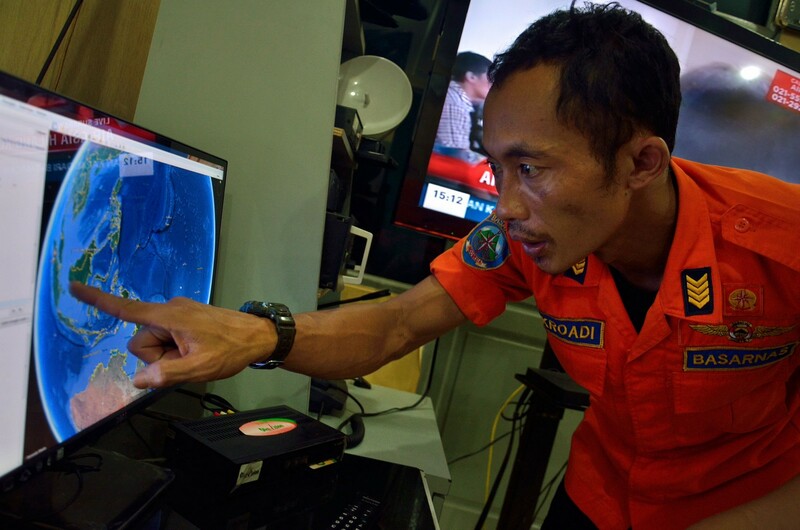 "We put our hope in the SAR operation," he wrote. 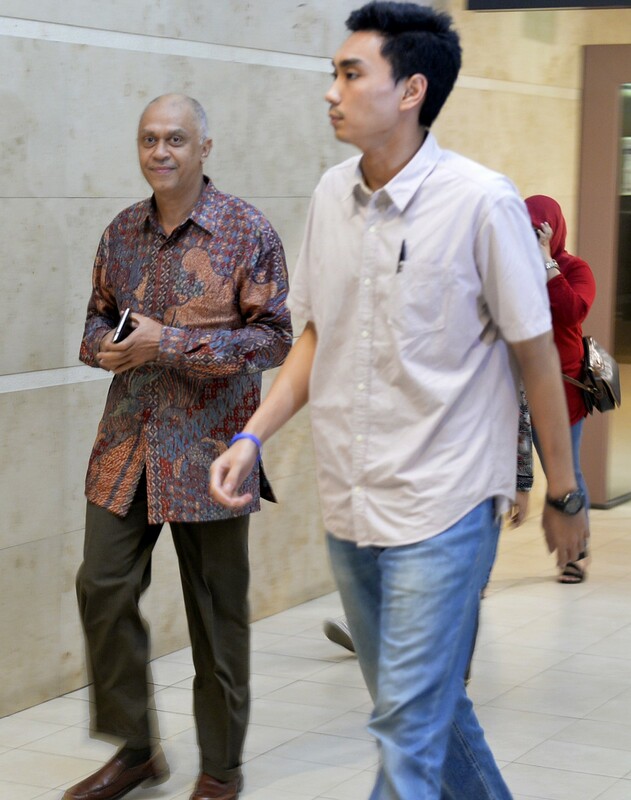 Fernandes later added: "Keeping positive and staying strong. 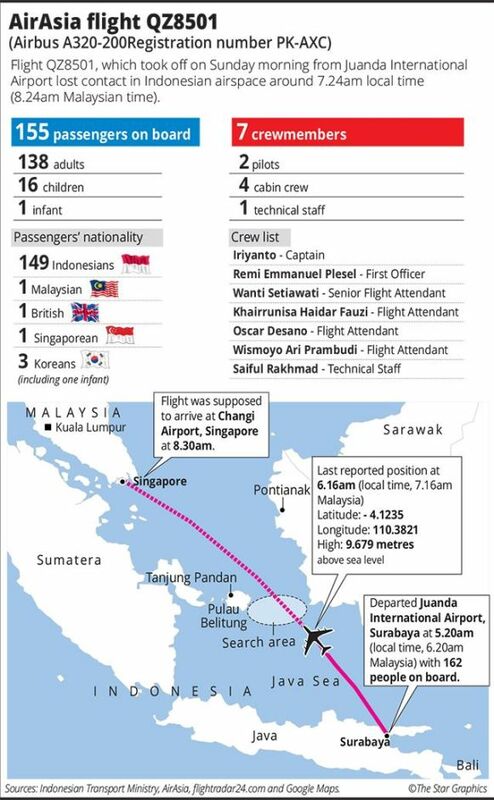 My heart bleeds for all the relatives of my crew and our passangers. 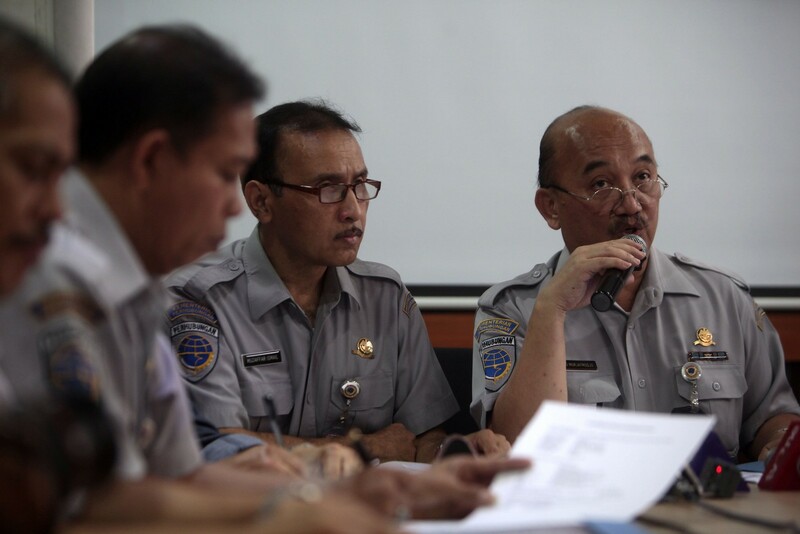 Nothing is more important to us." 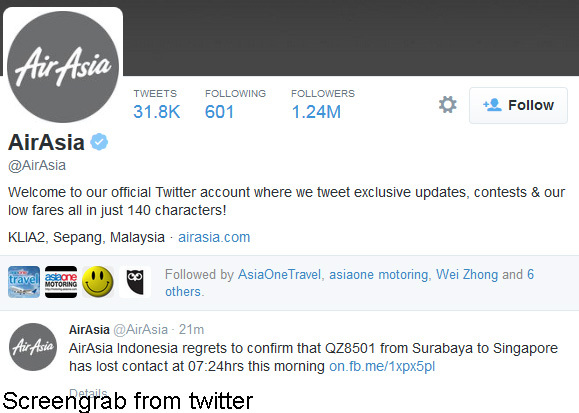 AirAsia changed its fiery red logos on its Facebook and Twitter accounts to a sober gray following the incident. 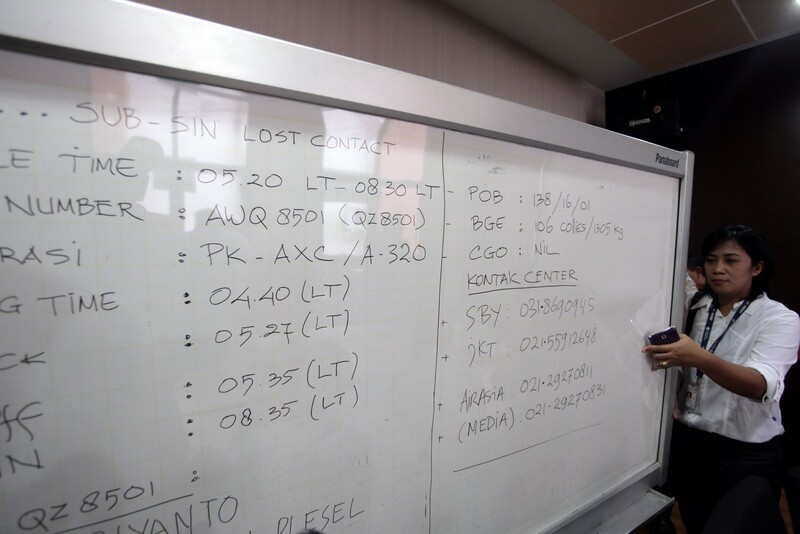 The Airbus A320-200 lost contact around an hour after it left Juanda international airport at Surabaya in east Java at 5:35am (2235 GMT Saturday). 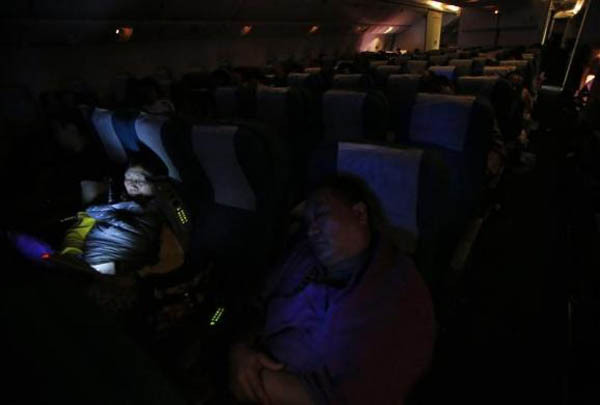 Flight MH370 disappeared between Kuala Lumpur and Beijing in March, and in July, MH17 was shot down over troubled Ukraine killing all 298 on board.